In this sequence of sonnets are laid out the basic tenets of Sri Ramana’s teachings. This was previously published in The Mountain Path. Taking no burden of thought for tomorrow. What glimpse of worry, grief or despair? So happiness lies therein, buried down deep. How to find this treasure, awake, aware? Ask the question, who am I, and from where? Ending ego’s ‘me’ and ‘my’, that’s there. Enquire within, who basks behind our mask? To regain that Selfhood we lost at birth. To understand that, gains merit and worth. The film begins and we enjoy the show. The screen’s unchanging, but the film’s a shadow. That both seer and seen make up the mind. On Consciousness as screen, all action’s based. A guiding beacon that’s so rare to find. That’s the Sage wisdom by which we are graced. We’re taught the silver screen as a metaphor. To proceed with clarity and enquire some more. Illuminating both actors and the scene. Yet when action ends, the lamp remains bright. They form ego, knotted and bound in the heart. That’s the high wisdom proclaimed on Earth. How to make mind to merge in its source? The ultimate scrutiny of “Who Am I”? Unveiling the Self, the lost inward eye. Attracting divers to search for this goal. Of the ocean bed, for the pearl oyster’s soul. Just seek for the source where mind is based. To travel by providence free from pain. Only a fool carries it on his head! Rest quietly, safe at home on your bed! Take safe refuge in the all loving Lord! The waking dream is long; both stem from thought. The Real is beyond both this waking and sleep. The state of pure consciousness, Self luminous! Blissfully aware, yet awake in sleep. Granting a moment’s taste of Self insight. Of the final search from bond to release. Hindered only by our being unready. His grace is then bound to fill it up. He cuts you free with his mighty sword. To Self Realisation, your real birthday! Is “rest in the Self,” which is always heard. Renouncing belief that a rope is a snake. One with the Self, as the Absolute sees. We find that on the right; is the real Heart! We dive with great skill and all of our might,. Pulsation of I-I, where all shadows cease. Returning to “Self”, our birthright of peace. Was predestined before it ever took form. So from stress, despair and fretting, pray cease! Yet grace can avert even predestined fate! Be like a skilled actor on this stage of strife! Knowing who, truly you are, in this life. Know you’re Self not body, know that is certain! You can strive in the city, there’s no need to roam. For mind remains with you, until it is slain. Create body and world, whereby we are caught. Whether living at home, in a forest or cave. We leave it to grace, to grant us release. To those who yearn and pray for great peace. Without confusing the Self with the mind. Wisely profound, as his way clearly shows. To awaken those, whom his teaching well heed. Drives the mind inwards, to Self Realisation! From the presence of the holy Supreme? To free one from the ‘I am this body’ obsession. In knowing all are Self, and so truly living. We thank the great Sage who is ever giving. He grants that freedom, our real surviving. He sends out his grace to grant us release. And Self Enquiry to raise us up from our fall. This crown of my verses is our thanksgiving! This is the high wisdom proclaimed on Earth. Know you’re Self, not body, know that is certain! by an invisible Sun within us. 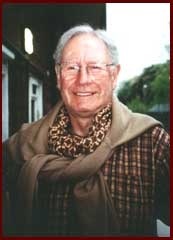 Alan Jacobs is Chairman of the Ramana Maharshi Foundation UK , and author of The Bhagavad Gita a Poetic Transcreation and The Principal Upanishads A Poetic Transcreation. This article published with permission from The Mountain Path. 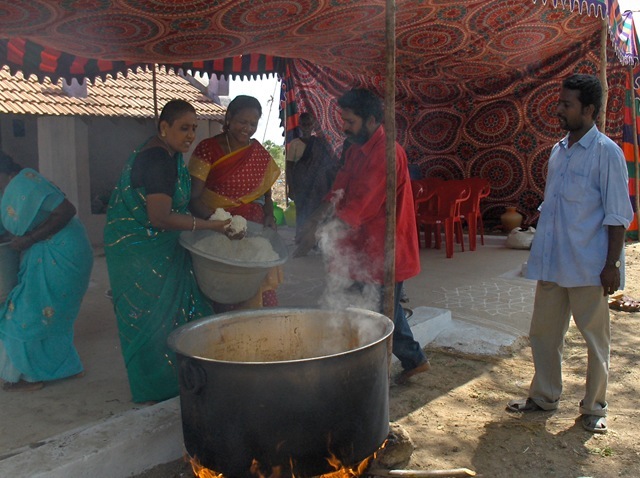 This week we were invited to another Indian Village function–an annual ceremony where they ask the gods to bring rain. This is always held on the same day of the year. 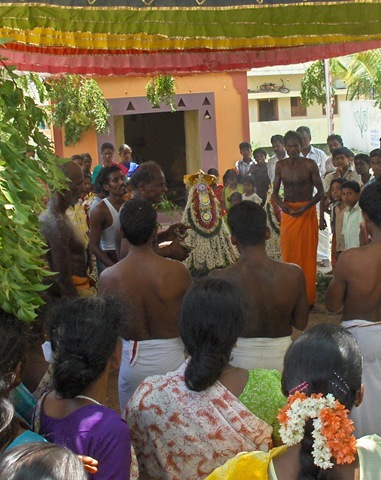 So on June 23, 2008 we went into Samuthiram Village to see the ceremony. The rain is particularly needed this year. There are two monsoons that bring the bulk of the rain to the area. The Northeast Monsoon in October and November, and the Southwest Monsoon in the summer. The Northeast Monsoon failed to come last fall, and so far the Southwest Monsoon has failed to arrive as well. 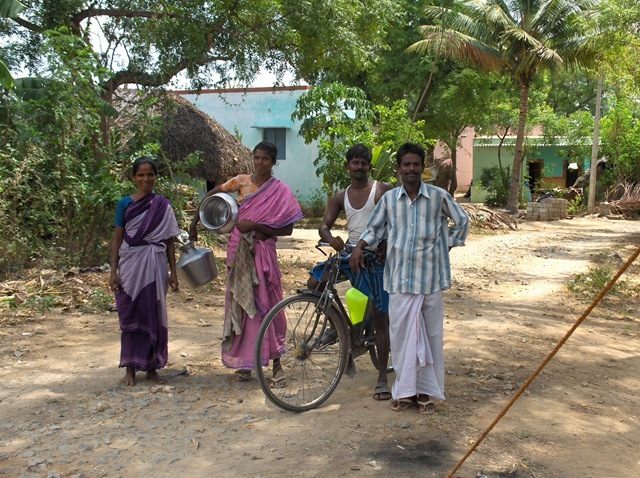 Tamil Nadu has vast agricultural areas, much of which are rice fields farmed as small plots by village farming families. The rice fields can grow three crops each year, but they use lots of water. 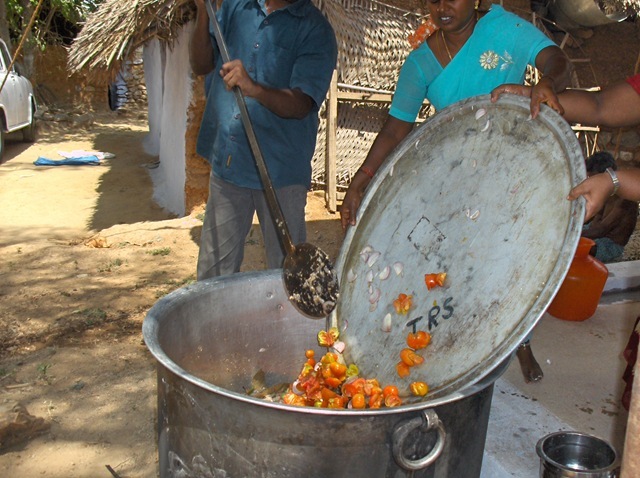 The English, when they came to India, said that these South Indian fields were the most productive in the world. They depend each year on the monsoons. Now we may have had two monsoon failures in a row. 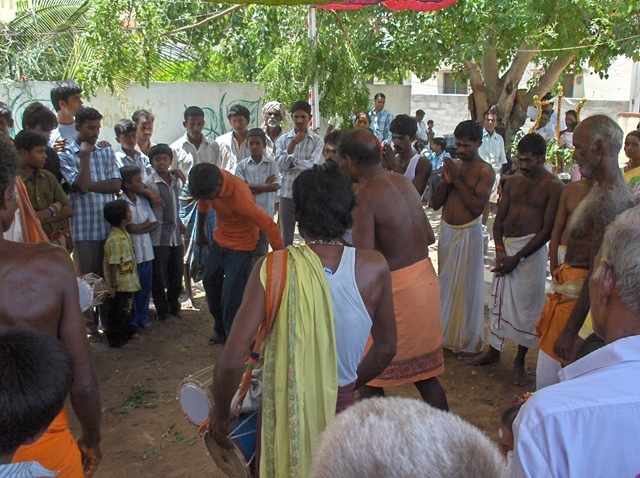 We were invited to the ceremony by Dakshinamoothi, a man in the village whom we assist with his local organization, Quality of Life Trust. He told us to arrive at 1 PM, thinking that this celebration, like all such events, would start late. He then called us about 12:30 and said that we should be there. When we arrived a few minutes later, we found that it had already started. 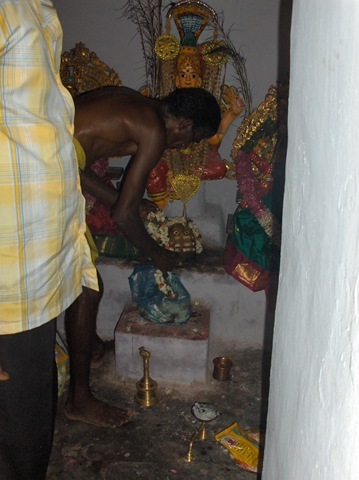 It was being help at the village temple, a small building by the road that we have gone past many times. 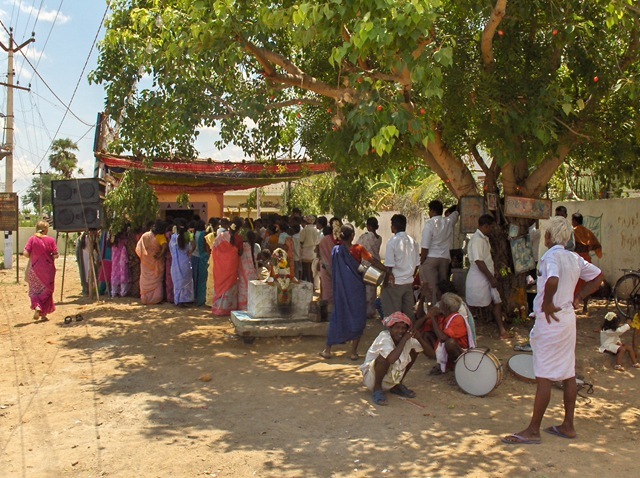 When we arrived, people were already gathered at the temple, the puja was over, and the next part of the rites had started. 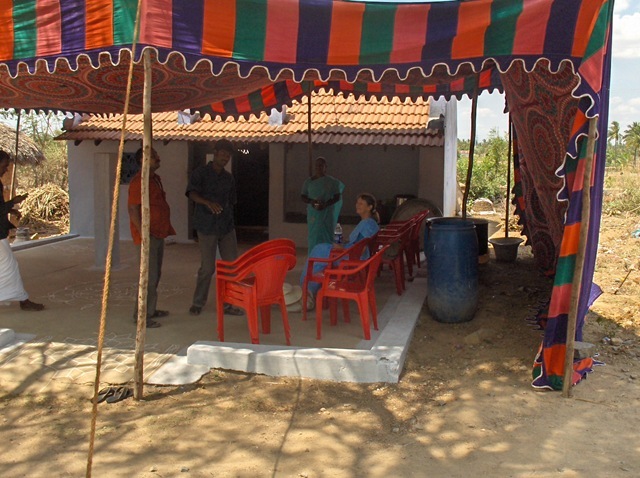 The villagers were gathered under the awning put up for the day. 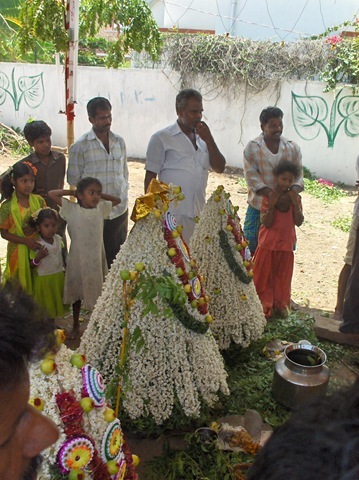 There were three cones, decorated with flowers, several priests, and an open space in the middle of the crowd. Much work was done decorating these cones. 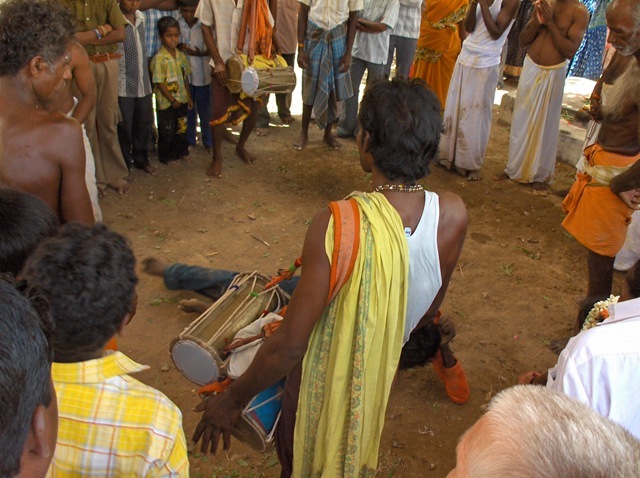 In the circle there were drummers, beating out a rhythm, and someone dancing in the circle, an elderly lady. 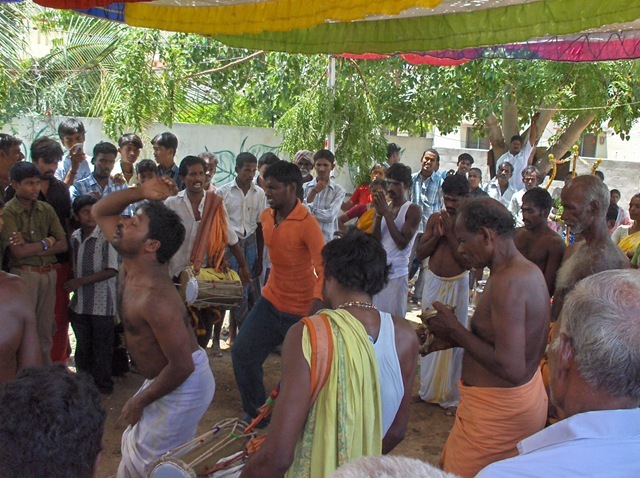 It is not usual at village functions to see women dancing, it is usually just the men. The ‘dancing’ seemed particularly energetic and expressive, and not any formal dance at all. After she left the circle, a young man, seen above in an orange shirt, stepped into the circle. Before he started moving, he spent some time, in what seemed like working himself up into some state. I wondered if perhaps he was drunk. Then he started to move wildly. I think his eyes were closed, and there is an expression on his face, almost, I thought, of pain. 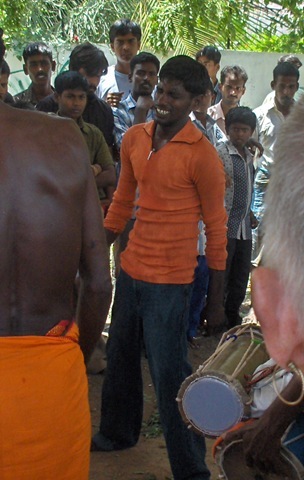 There was another man in the circle as well, in a white dhoti. The man in the orange shirt dropped to the ground, and was writhing around. I could not get a good picture of him. The view was blocked by a drummer. After this was over, he was exhausted, and had to be helped walk to where he could sit down. I found out later that these people were, in this ‘dancing’, surrendering themselves to God, and probably asking for something from God. After this, the crowd broke up, and the next part of the rites got underway. We went to the Satya’s Cafe in the village to wait. 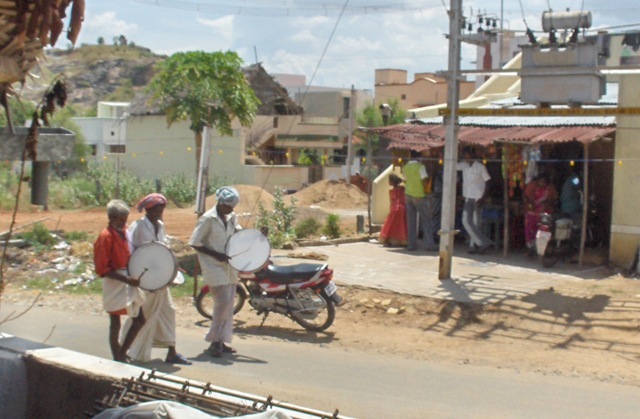 First came the drummers, who seem to lead all these village processions. Then after the drummers, came the cones, each carried by a man. We had seen similar cones walking through the village where we lived, and we wondered what they were about. 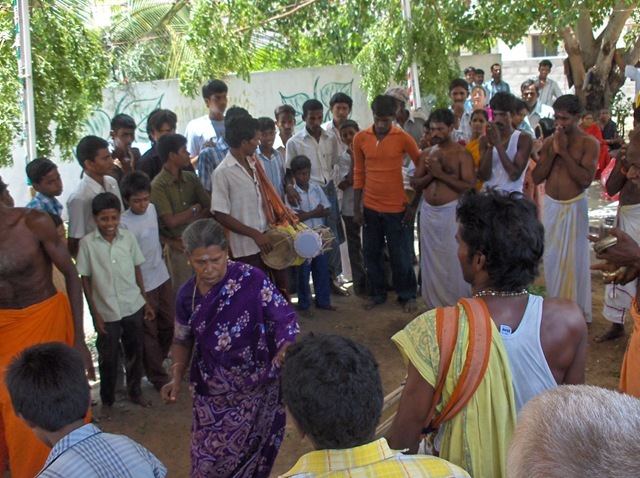 They stopped across the street, and the occupants of the house came out with puja items to offer, and received blessings from the priest who walked with the group. Then they walked to Satya’s Cafe, where we were waiting. There were some boys walking with the group, too, naturally. 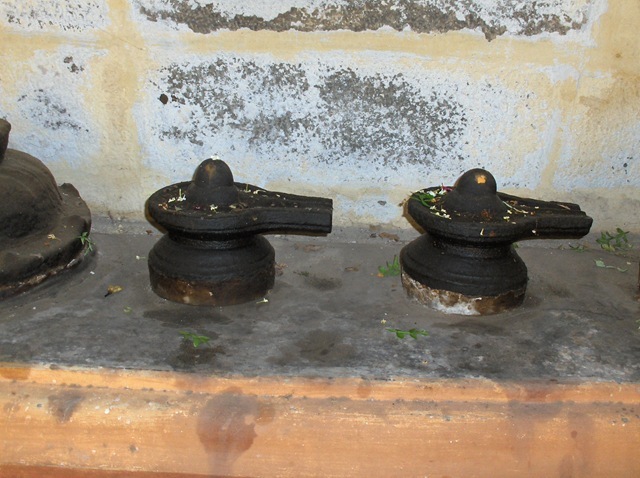 At Satya’s, the owner, our host, Dhakshinamoorthy, had three malas ready and waiting to offer. He gave them to three western women who sometimes help our his trust, Vishni, Shivani, and my wife Carol, who in turn placed them onto the cones, after puja items were offered. 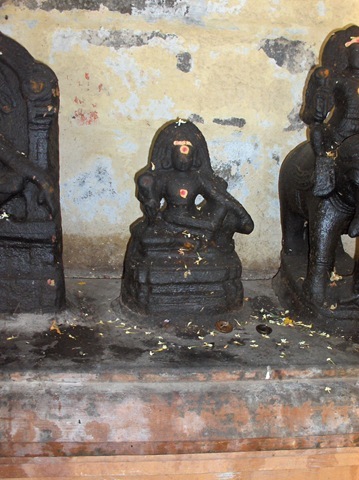 Then the malas were placed. then off to the next house. One man stopped for a photo. Here are shots of the temple, the next day. 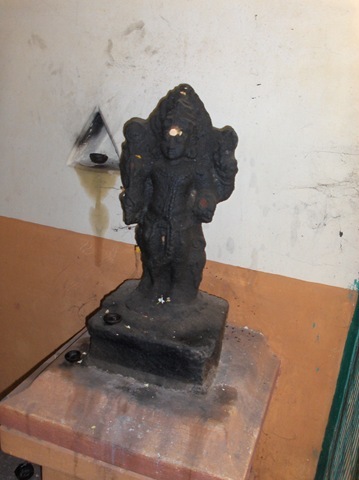 All the ritual items were still there, waiting to be cleaned up, which was to happen soon. Boys played among the cones. 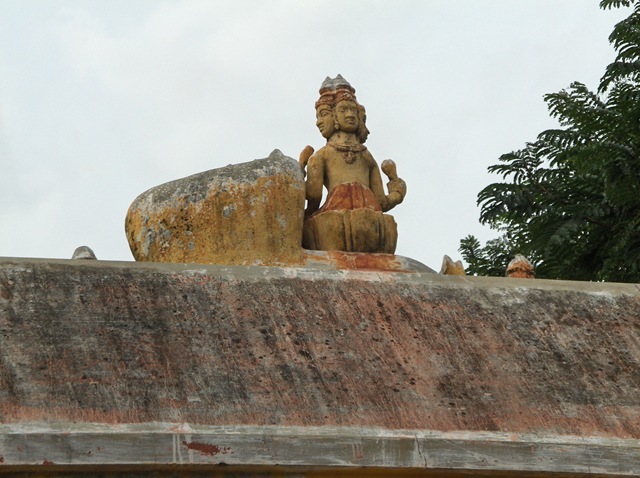 Temple gods watched the unfolding of the whole event, remaining silent and full of peace. dive within himself and obtain the Self-Pearl. The first clear statement pointing to the practice of Diving Into the Heart appears in Bhagavan’s second written work entitled, Who Am I, composed in 1901. Thus my chosen quotation, from the Collected Works of Ramana Maharshi verse 19, of this seminal work, is quoted at the head of this article. Ramana used different metaphors and phraseology to describe this practice, which forms one of the key approaches to Self Enquiry, but the metaphor of the Pearl Of Great Price pointing to Liberation is on also used by Jesus Christ and is often found in the poetry of Jaludin Rumi and the Sufi Mystics. 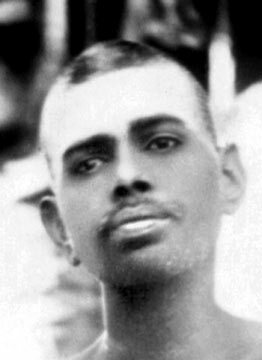 There are several fine English translations of the famed Eka Sloki of Sri Bhagavan Ramana Maharshi, but I have selected the poetic metrical one used in the current edition of Bhagavan’s Collected Works on page 151, under the title The Self in the Heart where in the eighth stanza of the Supplement to the Forty Verses (1928), it was repeated by Ramana exactly as he gave it in the Ramana Gita, but now in Tamil. AS I-I, THE SELF AWARE. THUS ABIDE EVER IN ATMAN. like a bird caught in a net. We shall be discussing the finer distinctions between breath control and breath regulation as I begin to look at approaches to the actual practice, but meanwhile we have the most important 28th and 29th verse in the Ulladu Narpadu or Forty Verses on Reality. 28. Controlling speech and breath, and diving deep within oneself – like one who, to find a thing that has fallen into water, dives deep down – one must seek out the source whence the aspiring ego springs. 29. Cease all talk of I and search with inward diving-mind whence the thought of I springs up. This is the way of wisdom. To think instead, I Am not this, but that Am I, is helpful in the search but it is not the search itself. There have been numerous translations and commentaries on these two verses. 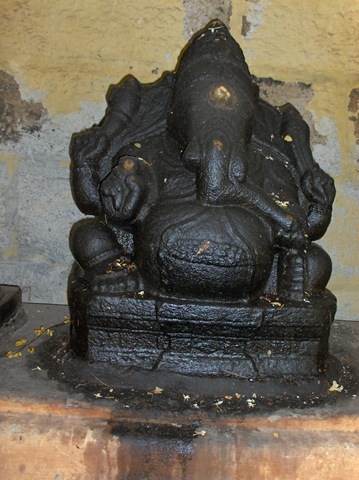 The one I personally found to be most helpful was in the Sat Darshan Bhashya by K (Sri Kapali Sastriar) the respected, brilliant, and erudite, young disciple of Ganapati Muni .The original text was written in Tamil by Bhagavan but the Muni translated it into Sanskrit. He then asked Kapali, who was highly fluent in the use of the English language, Prosody, and Vedantic Philosophy, to write the commentary, and translate the verses metrically into English, thereby preserving much of the original ‘rasa’ or delight of Ramana’s own Metre. According to Kapali Sastriar’s Diaries, in his Collected Works, (published by the Aurobindo Ashram), where Kapali eventually took up residence, this text and commentary was shown to Sri Bhagavan, amended, and where necessary improved. The numeration in this translation differs as the invocatory verses were numbered one andtwo, thus the verses under discussion appear as 30 and 31. S.S Cohen, for example makes the cogent point, in his commentary on verse 28, he writes “Deep Diving is a metaphor that implies salvaging the ego from the depths of ignorance into which it has fallen, not amateurishly, but very expertly and unremittingly, or else success will be sporadic and even doubtful”. At this point it is worthy of mention that Sri Kapali Sastriar also wrote an exhaustive commentary on the Ramana Gita, published by Ramanasramam. His Diaries vividly recount his meeting with Ramana, which took place, and the text approved after ammendation. This was composed in Sanskrit in 1941. It also includes a comprehensive commentary on the famous second verse of the second chapter, the Eka Sloki, much too long for this Essay, but well worth studying by those interested in pursuing this practice. However K’s commentary on these verse in the earlier Sat Darshan Bhashya is both long and powerful. On these verses. He makes many powerful points, and some of these I have extracted. For example in (V 30) he writes that ‘just as one forgets all other thoughts and keeps aside all other cares, and holding breath and speech gets into the well and plunges deep to find the lost article’. This method called Plunge is suggested , and this is the real test of earnestness….. the attempt involves gathering up all one’s divided interests and dissipated energy into a concentrated effort of the whole man, of his Being in all its entirety…. V.31, then alone real quest for the Self may be said to begin…..’ It is my own opinion and that of others with whom I have discussed this important practice that Diving and Plunging are synonyms for this approach to Self Enquiry . On page 26 of this Sat Darshan Bhashya (published by Ramanasramam), in one of the introductory chapters, entitled Sadhana and Siddhi K writes “…..it throws the whole being into a consuming fire as it were, takes hold of the life breath which is lost in the bodily feeling , and separating it from the bodily grip enters it into the Heart…such is the real Jijnasa, the genuine earnest desire and search for the Self. Before moving onto the actual approach and experience of this great practice, it is necessary to point out that there are numerous references on ‘Diving’, in the celebrated Talks with Ramana Maharshi .As these are not separately indexed I note some important ones here. In Talks 252 Page 210 he gives A full answer to the question ‘how is the mind to enter the heart?’, which is much too long to quote here, and anything taken out of context would fail to do justice to the text, and it would be preferable to look up the original. Similarly, In an answer also much too long to quote here is Talks No.616 on page 576, where there is a very long dissertation on the ’Jivanadi’ during which Bhagavan “ says ….. the seekers aim must be to drain away the vasanas from the heart and let not the reflecting medium obstruct the Light of Eternal Consciousness .This is achieved by the search for the origin of the Ego and by Diving into theHeart. This is the direct method for Self Realisation……I feel this is a key quote. So we see the extent to which Sri Bhagavan repeatedly points to the importance of this practice over and over again . 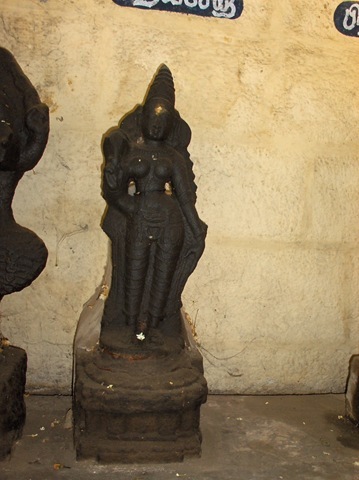 To cap it all we find The Eka Sloki was mounted during Bhagavan’s lifetime, obviously with his consent, above his ornate marble couch in the New Hall, where the verse is engraved in Gold Sanskrit letters on, a tablet of polished black marble . As Sri C. Sudarsanam writes “the Kavya Kanta was so overjoyed with this Eka Sloki when Bhavagan first gave it , that he proclaimed it as Ramonopanishad, Hardopanishad , and is reported as saying ‘the time for that , (a commentary on the Eka Sloki) has yet to come. I shall compose something like the Bhagavad Gita as a commentary.’ That is how the Ramana Gita with the traditional eighteen chapters, in Sanskrit poetic metre was born. Before discussing the practice, from my own experience, and all I have read , and discussed with other Devotees, it is necessary to point out that it is only one of the different approaches to Atma Vichara, given by Sri Ramana to suit the dispositions of different seekers, according to their temperaments and maturity. Devotees who earnestly wish to practice some form of Atma Vichara find they are, as it were, ‘Initiated’ , by a strong intimation from the Sat-Guru in the Heart ,pointing to a suitable approach for them, or an approach which is the easiest for them to commence. and in some cases, even setting up the Enquiry in the Heart as a direct experience. This is obviously a great manifestation of Grace, when the Self sees that the earnest seeker is sufficiently mature enough to commence Atma Vichara. In my own case I found it very difficult, like many western seekers, to maintain the attention needed for the Self Enquiry approach initially prescribed in ‘Who Am I’? but when I came across ‘Diving Into the Heart’ it was a revelation! as here was a radical practice I could pursue, by stopping my restless mind through breath control and regulation. I have been enjoying this form of Self Enquiry for some years and have great faith and personal evidence in its efficacy. In my enthusiasm I even composed a long Narrative Poem , published privately called ‘The Pearl Fishers’, which describes the practice. Of course Ramana’s long essay called Self Enquiry at the beginning of his Collected Works summarizes the different approaches and the necessary, optional preparatory and support practices, including regulation of the breath (verses 21-26), and in Chapter Six of the Ramana Gita, and verse 4 Chapter 2 of Spiritual Instruction. they are expanded as aids for necessary mind control. Each practitioner of Self Enquiry will be drawn to that approach which he finds the easiest and appeals to him most. Some even have several arrows in their ‘atma vichara quiver’ with Aum as their bow. When however we come to Diving into the Heart, there is a useful treatise called ‘The Technique of Maha Yoga’ by Shri N.R.Narayana Aiyar in which he describes his own practice of Diving Into the Heart, as enjoyed by this earnest Sadhak, and first published by Ramanasramam in 1962. Briefly this short book summarises in general terms, his own experience and understanding of Self Enquiry, preparatory and support practices in the first twenty six pages .But on page 26he leads one into his own personal Sadhana of Diving Into the Heart by the key passage I have already partially quoted from Talks 616 page 576…… ‘the seekers aim should be to drain away the vasanas from the heart and let no reflection obstruct the Light of Consciousness. This is achieved by the search for the source of the ego. This is the direct method. The state free from vasanas is the primal state and eternal state of purity….’. He then quotes in Bhagavan’s description of the Locus of the Self, the famous quotation from the Supplement to the Forty Verses. 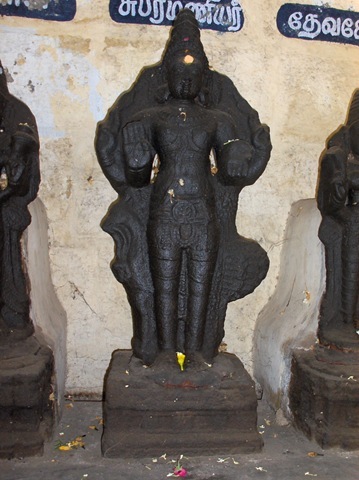 ‘Two digits to the right of the centre of the chest is the Heart like a lotus bud. Breath, mind and the Light of Consciousness originate from here’. There are many supporting passages in the Ramana Literature where Bhagavan indubitably affirms this location from his own direct experience. But we also know that Ramana stated elsewhere in Talks 403 page 378 that ‘you are the centre of Dhyana and that is the Heart. Thus a location is given with reference to the body……’even when the limbs are amputated you are there but with defective senses(adjuncts). So a centre must be admitted. That is called the Heart. The Heart is not merely the centre but the Self. Heart is only another name for the Self. Doubts only arise when you identify it with something tangible and physical…..’ However in Talks No.131 page 116 Ramana also states …’of course there is also the practice of meditation on the heart centre. It is only a practice and not investigation. Only the one who meditates on the heart can remain aware when the mind ceases to be active and remains still’ From this statement, as a practitioner of Diving or Plunging I have deduced, along with trusted and advanced Devotees in Ramanasramam and Tiruvannamalai with whom I have discussed the question, that the right side of the chest must not be seen as an object to be focused on, but merely as a doorway or portal in which one can enter to commence the search for the source of the ‘I Thought’. The point of entry may be found as the author of ‘The Technique of Maha Yoga’ writes, and Ramana also suggests , ‘watch the movement of the breath…and observe where breath rises and sinks inside the chest….’ . As in the Upadesa Sarum (and elsewhere) Bhagavan writes ‘the source of breath and mind is the same. Earnest Practitioners invariably find , as I have, that the Locus where a palpitation can sometimes be felt, is on the right side of he chest, where Sri Bhagavan himself affirms it to be. Now regarding breath control and breath regulation, the Eka Sloki clearly states this as an option. Diving can be practiced with or without restraint of breath. 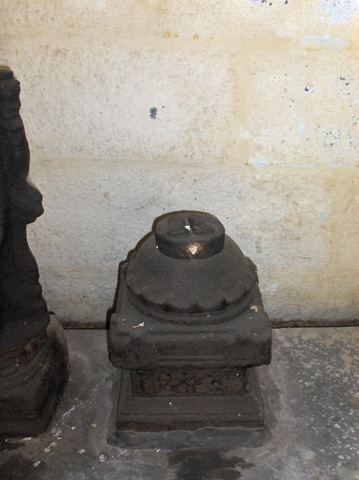 We once had a Yahoo Group Discussion Group called Atma Vichara, with over two hundred subscribing members, world wide .Some reported that as soon as they approached the door-way of the heart with devotion and attention, the sacredness of the inner shrine automatically made the mind go quiet, and breath regulation was therefore unnecessary for them. Many practioners, however, especially those like myself with the usual Western rajasic restless mind, find breath restraint invaluable. Although Breath Control is summarised in ‘Self Enquiry’ from verses 21-25, it is more fully detailed by Bhagavan in his answer to the Muni and his disciples in Chapter Six of the Ramana Gita called ‘Mind Control’. Ramana’s approach to this practice is very simple, and is not the extensive Pranayama which needs the supervision of a competent Teacher. One clear demonstration of full inhalation, retention and exhalation would be adequate . In verse five he states ‘control of life force means merely watching the course of its movement. By constant watch over its course (flow), Kumbhaka (retention) is achieved. This is an invaluable aid for calming the agitated mind at any time. In verse 6 Bhagavan, does recommend Hatha Yoga as an additional aid for those disposed towards this health giving and purificational practice, which would include some Pranayama. Many, like myself, find it is a valuable support practice for Atma Vichara. Here a competent Teacher is essential. In verse 7 we are asked to breathe out fully (Rechaka) with the necessary time required, and then fully inhale for another unit of the same time (Puraka). Then Kumbhaka or Retention may be held for four counts of the time taken for inhalation. It is during this period of holding the breath , that I finds is the best time to Plunge or Dive into the Heart by entering the portal on the right side of the chest using focussed attention, like a laser beam, from the chakra between the eye brows, to penetrate as deeply as one can, searching for the source of the ‘I Thought’, until one is forced to fully exhale, with Bhastika or diaphramtic exhalation with a guttural or hissing sound, which, more effectively, expels residual thought and vrittis. This differs from the approach of the author of The Technique of Maha Yoga where he recommends (page 57) ‘to slowly Exhale and watch the exhalation movement in the chest. With the sinking movement in the chest dive into the Heart. Here I assume he is relying on the Pranic Force to enter the heart , with focussed attention . But I find focused attention issuing from the chakra or pineal gland, between the eye brows, far more powerful and would include the Pranic Force on exhalation as well. But obviously as in all matters of Sadhana it is for each Sadhak to find his own most effective way which is most amenable for him, guided by the Sat-Guru within his own Heart. 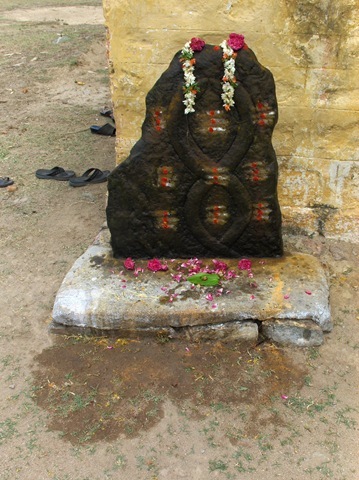 Another important prerequisite to this practice is given in verse three of the famed Arunachala Pancharatna or Five Gems to Arunachala where Bhagavan writes ‘He who turns inward with untroubled mind to search within where the Consciousness of ‘I’ arises, Realises the Self, and dissolves in Thee O Arunachala!’ . Chapter Nine of the Ramana Gita in which the great Eka Sloki first appeared, has a whole explanation on the Granthi Bheedam or Knot. In verse three, Ramana states that theassociation of the Self with the Body is called the Granthi (Knot). It is my intuitive feelingthat Bhagavan’s powerful sword of Diving Into the Heart will eventually cut this identification and sever the knot . A full explanation to the Granthi Bheedham can be found in Spiritual Instruction Verse 12, Collected Works Ramanashramam Edition page 63. 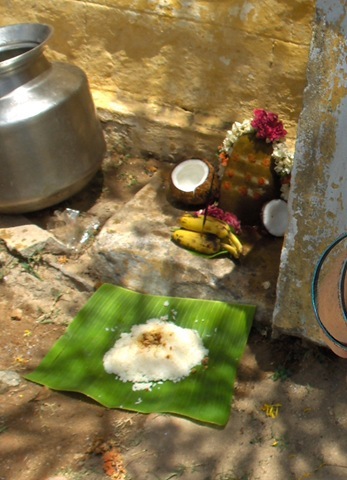 Bhagavan often stated that a moderate Vegetarian Satvic Diet with milk products was a great aid in atma vichara, and there are many references to this in his ‘Talks’ where the importance of a Satvic Diet is clearly indexed. Finally there is the question of posture and here Bhagavan is very clear when he writes ‘of the eighty four main postures siddha is the most excellent’ in verse 27 section 3 of Self Enquiry. This is Siddhasana when the left heel is placed over the crotch and the right heel over that.’ Narayana Aiyer warns that this process of dedicated Diving Into the Heart may take a number of years, and this writer fully agrees from my own experience over many years. One assumes it depends on the skill employed in the practice of concentrated probing, with devotion, and the force of attention available, and the strength of the occlusions and vasanas resisting expulsion, as well as the gunas active at the time. Obviously it will differ with each Sadhak, and no Plunge or Dive, in the search for the source of the I Thought can ever be exactly the same for anyone at any time. I find that each Dive is different in quality depending on the force of attention gathered, like an artist, when he prepares to draw an object, or a mathematician concentrating on a difficult problem, or gazing into the wick of a lit candle. In some cases one feels one strikes a wall , or sheath, and the attention cannot penetrate .But invariably one finds one can penetrate deeper and deeper until one reaches the abyss when one can go no further. Then on the exhalation a great deal of residual thought or vrittis are expelled. The more zeal , and determination one devotedly feels, that this isthe most urgent vital act and necessary effort one can make, the deeper it goes. One is immediately detached from any identification previously agitating the mind. I find it is quite easy to commence the day with three or four dives, and then the opportunity or energy to proceed may happen another three or four times during the day. There is, however considerable Grace involved , as this practice churns the nadis, and the nervous system would be overstrained if achievement was too sudden .If their is a strain on the Nadis , Bhagavan says that with persistence all will come right in the end. This is expanded in the valuable chapter on ‘Self Enquiry Misconceptions’ in David Godman’s excellent anthology ‘Be As You Are’. Patience must be exercised for ripeness and maturity to fructify, and then Grace mercifully chooses the right moment for appropriate glimpses of the Real Self, in all its magnificence, as a forerunner to Realisation, when no further Sadhana is needed. There is, however, from my own experience, no doubt that the practice gracefully weakens identification with troublesome thoughts whenever it is applied. Also pulsations are often felt on the right side of the chest , where a niche can be found in which one may rest for sitting in silent meditation. Again, however, every bold adventure into deep sea pearl fishing will be different, for each sadhak, and unique according to his own endeavour. A baffling question arises, however, insofar as even when reaching the bottom ofthe abyss with concentrated attention, nothing is discovered, and the space probed seems empty. Wise, experienced devotees with whom I have discussed this question inform me that while the practice is still done from the mind, nothing should be expected. But at a certain point, after earnest and regular persistence in the practice the enquiry moves into the Heart, through Grace. Then atma vichara spontaneously arises, and one is drawn into the Heart, when the source of the I Thought may eventually be found with the necessary release. I have found this happens to me more and more, but I have not reached the stage where it becomes frequent or permanent. Keeping in mind that one is searching for the root of the I Thought with zeal, and holding the breath, one should not expect an answer or result .The purification of latent tendencies are buried deeply in the subconscious, and what is happening can not be known by the reflected, limited, normal consciousness of the empiric mind. I am totally convinced, however, from my own experience, that Grace and effort are firmly interlinked. This practice may be a great help for some Devotees, as it has for me. Especially for those who find other approaches too difficult because of lack of necessary yogic preparation, concentration practice, or inability to control the mind, even using Mantra Japa. There is no doubt that the implication of the Maharshi’s many repetitions of this practice, in his own writings and Talks, is of major significance. It is if our Ramana Sat-Guru appears and tells us Dive within the Heart and Realize the Self! Note from Richard: I did a final pass at editing and formatting this article for Alan and am posting it for him. If there are any problems with the work that I did, I am sorry. 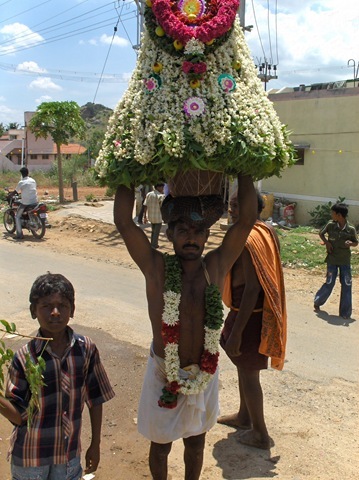 Yesterday, on Guru Purnima day, our rickshaw driver, Rajan, had invited us ‘to the temple.’ We, thinking nothing of it, and thinking we were going to some temple in Tiruvannamalai, said OK. Rajan said the he had to go early with his wife and children, and so would send someone to pick us up. 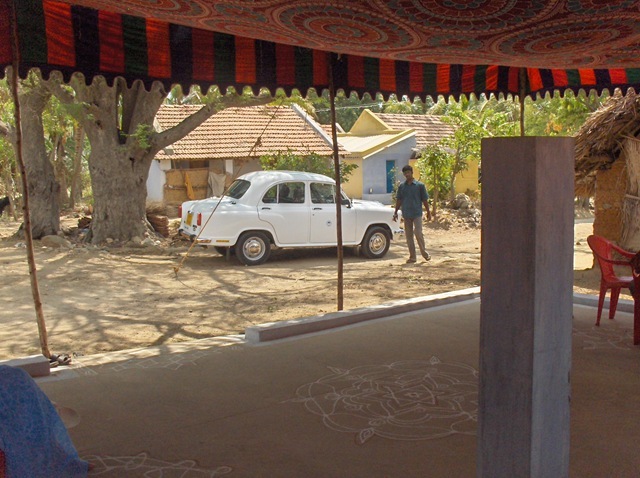 We were a bit surprised when a car showed up, rather than a rickshaw, but again thought nothing of it. There were two other rickshaw drivers in the car as well. Again, I thought nothing of it other than thinking they must be going to the temple, too. But when the driver turned away from town, I knew that something was different. 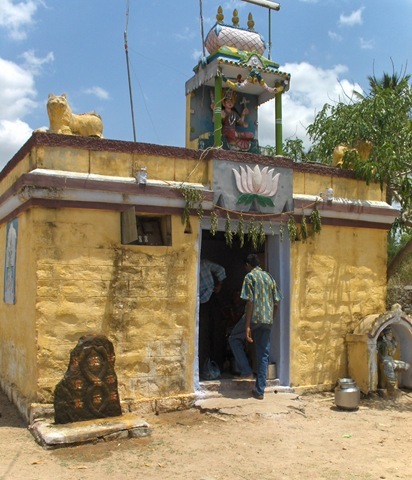 I remembered that Rajan frequented a different temple than the main one nearby, Arunachaleswar Temple, and I thought that it must be out of town and we were driving to it. I just let it play out. 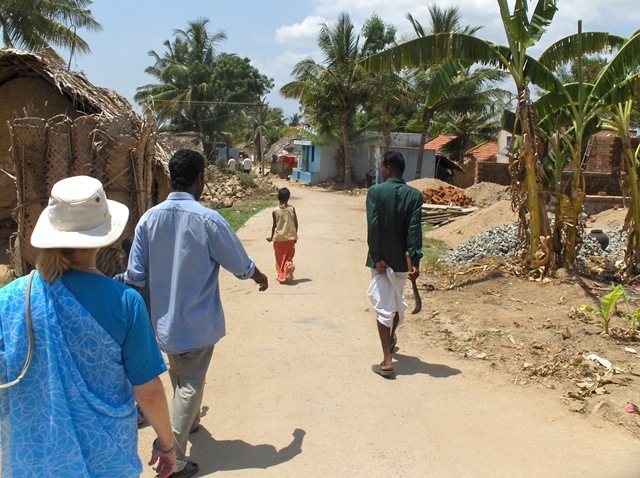 Then we kept going further away, going through Chengam, about 30K to the west of Tiruvannamalai, on the road to Bangalore. I knew by then that something different was happening than I had thought, and I continued to just let it play out. We went about another 30 KM, then turned onto a poor quality dirt road, and drove into a village about 2 KM off the main road. We stopped at a house that was set up for a special function. The awning and chairs are typical of such functions, we know now. We learned that this was the house of Rajan’s uncle. 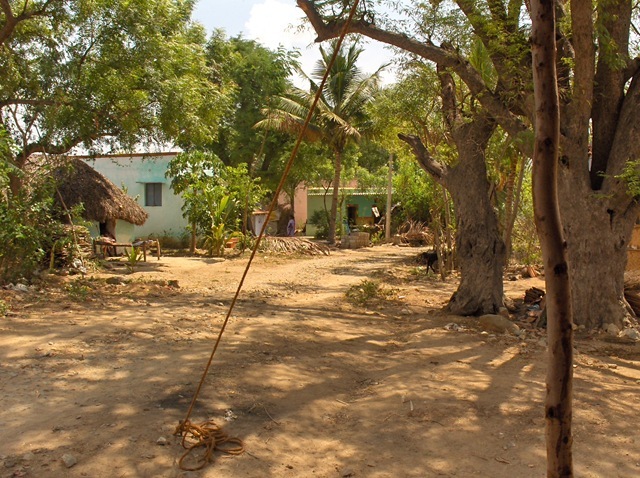 I found out later this was Gondapatai Village, in the Krishnagiri district of Tamil Nadu. 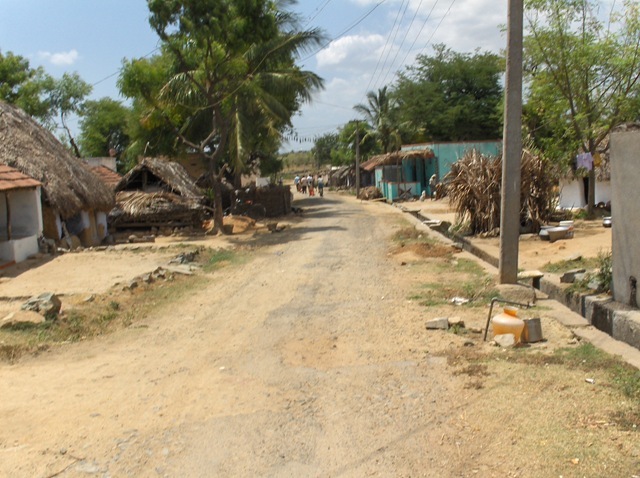 This is the village in which Rajan’s father was born. 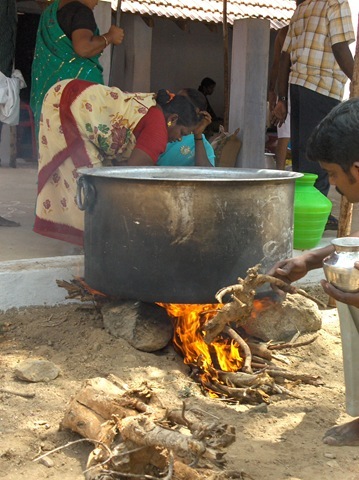 It turns out that we were invited to an annual function where the family does a puja at the nearby temple, makes an animal sacrifice, and prepares a special meal for friends and family. Rajan has a truncated relationship with his father, because he died when Rajan was in the Third Form, maybe eight years old. 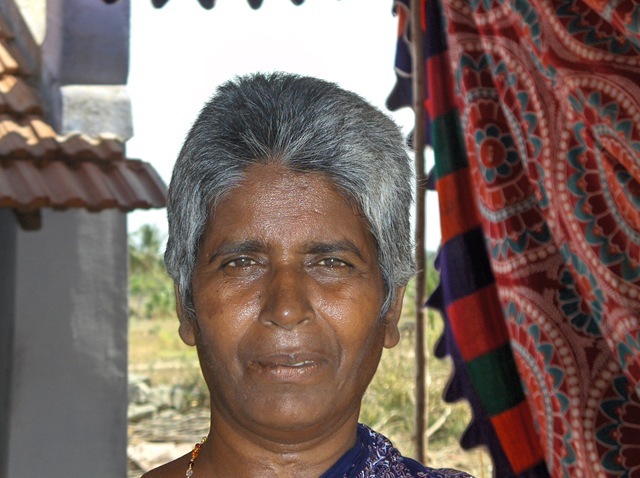 Rajan had to drop out of school then, being the oldest boy, and start working (for just a few rupees a day). Now he must preside at this annual family function, done on the same day each year. We were the first westerners to ever come into the village. 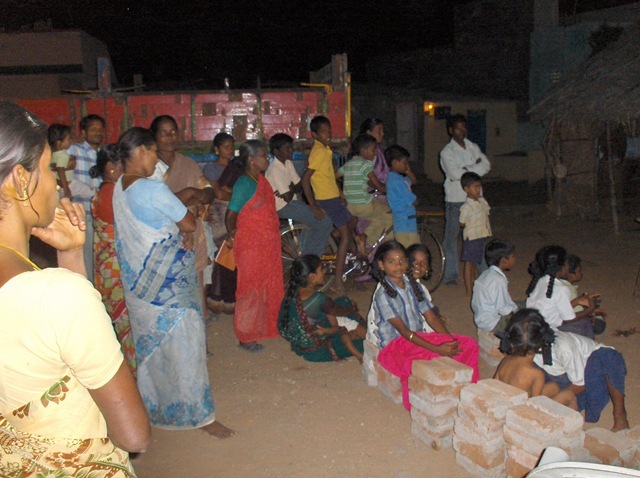 There was much interest in us from the villagers. I asked their permission before I took the photo. It turns out this was the right thing to do. We were told by one of the rickshaw drivers that some village people believed that having their picture taken reduces the number of days that they will live. Now more people started to arrive. 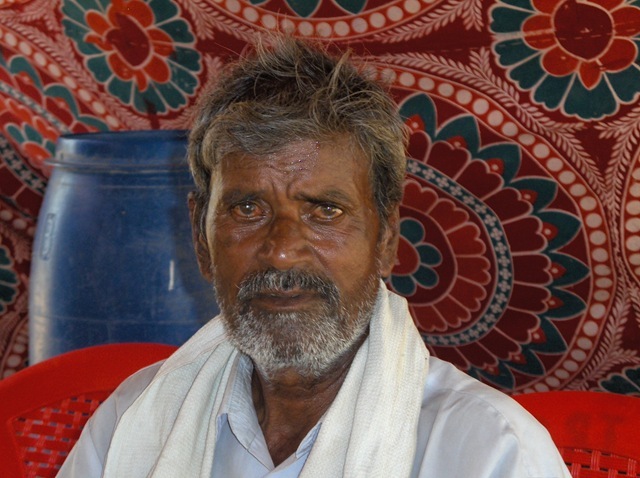 There were two groups, family, and Rajan’s friends, mainly other rickshaw drivers. 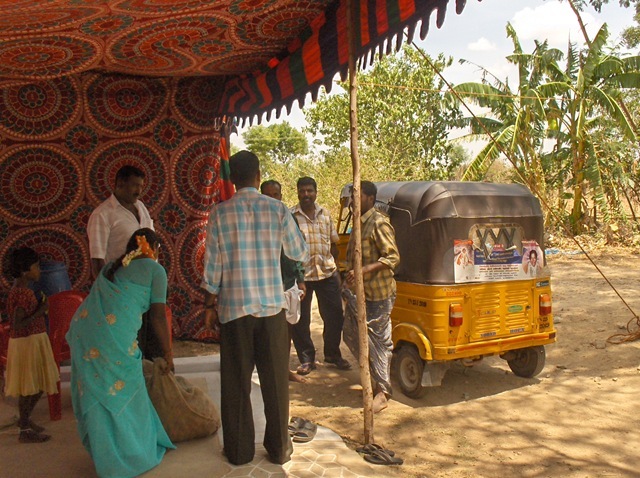 They drove their rickshaws 60 KM to get here. 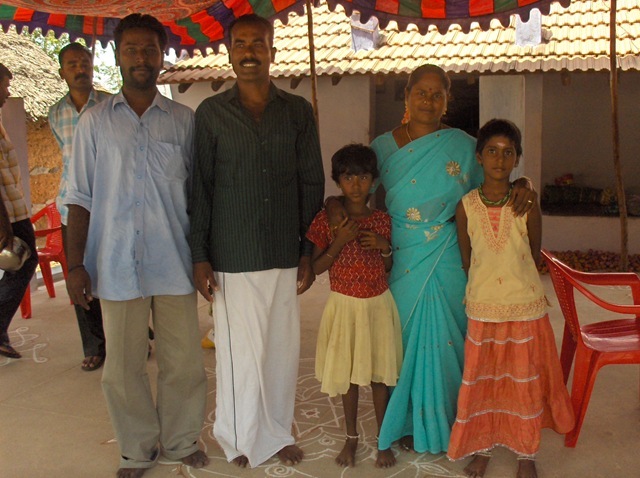 Here is Rajan, to the left, with his uncle and his uncle’s wife, and the daughters from the two families. Rajan is in the blue shirt. Behind Rajan is a cousin, Ranjit. 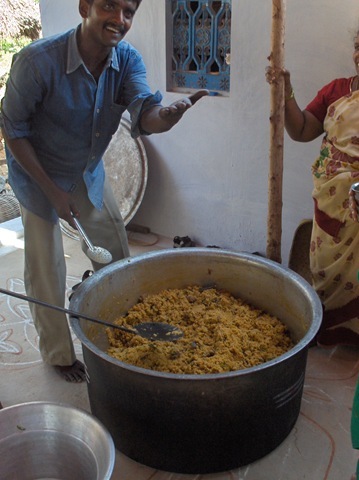 Ranjit used to have a good job in Chennai, but quit the job to return to Tiruvannamalai, where he always feels the peace of Arunachala. He feels that this inner peace is more important than a good job making lots of Rupees. So now he is a rickshaw driver, like Rajan. 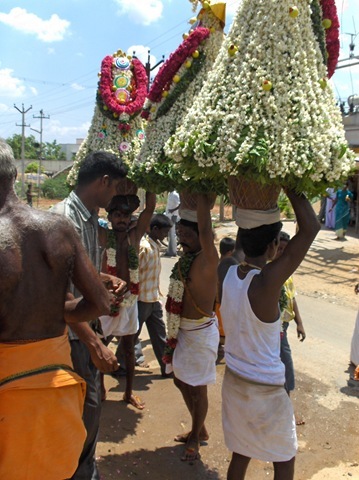 Materials for the puja and feast are brought by various people, and set out for later use. 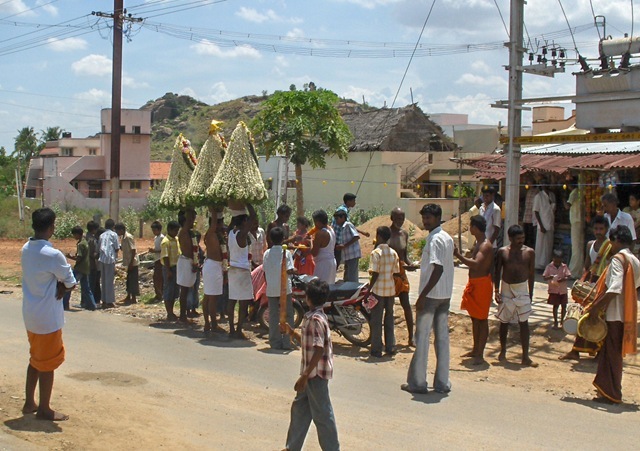 We then started to walk to the family temple, through the village. 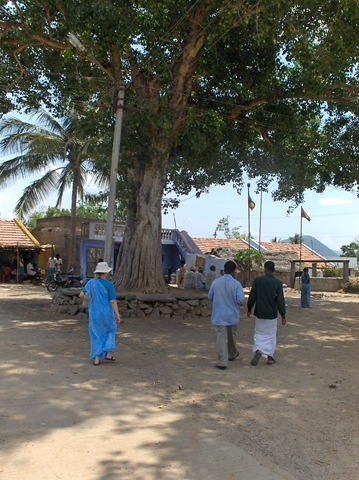 Walking through the center of town we came to an ancient tree, with a raised area around it where people can sit. Village men (the village elders, I think) were sitting there and talking (while, I think, their wives were getting the mid day meal, the most important meal of the day, ready). …where beside it sat a group of women and a couple younger boys. 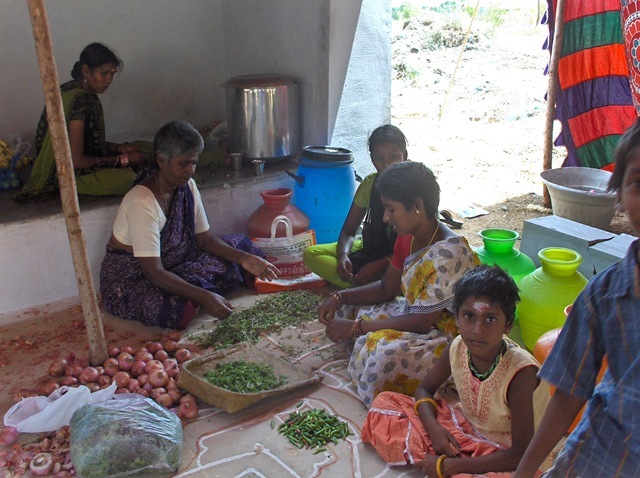 The women are cleaning garlic. The woman in the yellow saree is Rajan’s aunt. As the senior woman who is here, she will also play a role in the ceremonies to come. 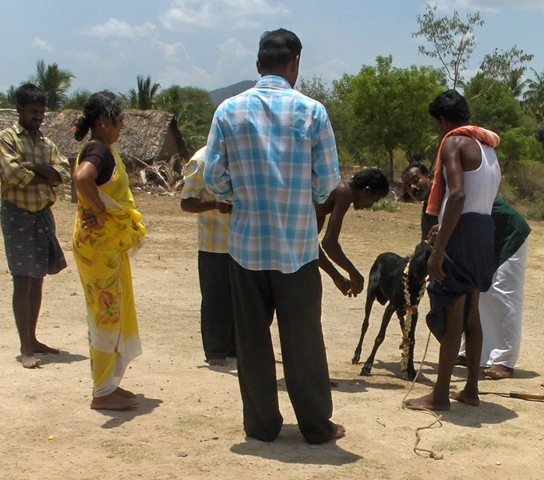 Now Rajan starts to prepare the goat for the puja and rites. 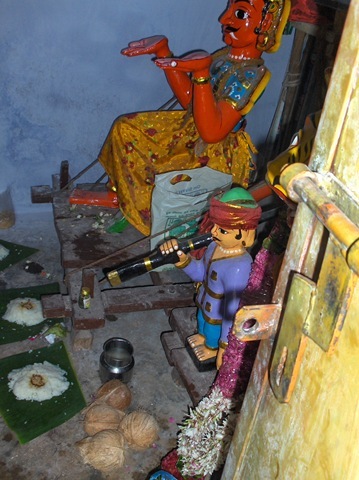 He sprinkles water on its head and feet, and then applies yellow turmeric and red kum kum to its head and hooves. Then a flower mala is wrapped around the goat’s neck. And the goat is ready. 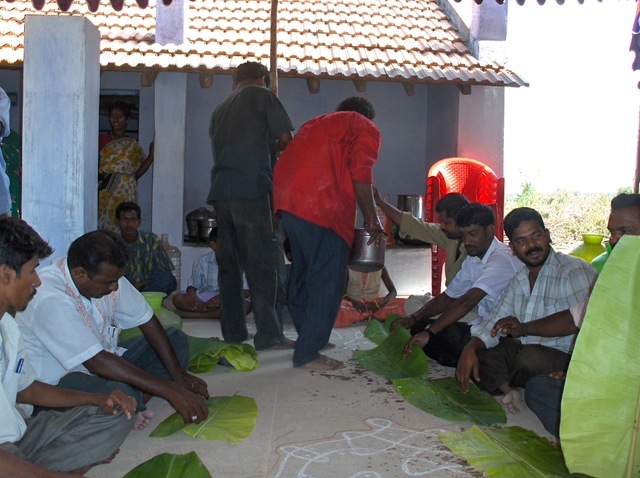 The puja preparation starts in the temple. The priest (?) 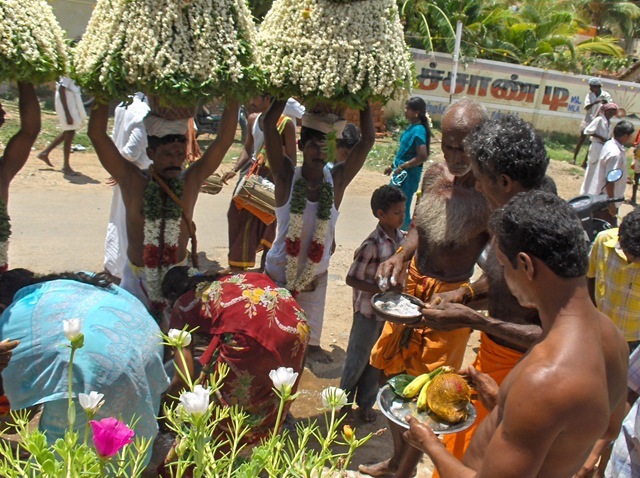 decorates the gods with flower malas (like were on the goat). 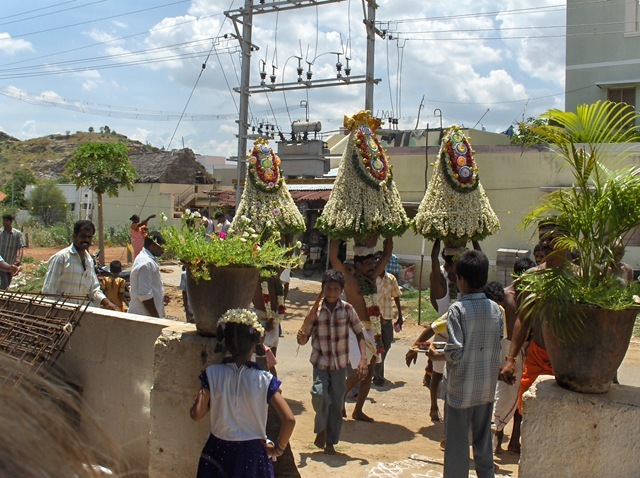 Here are the temple gods, in all their finery, decorated with flowers, etc. In the antechamber, two more gods are decorated, and ceremonial food offerings are laid out before them. 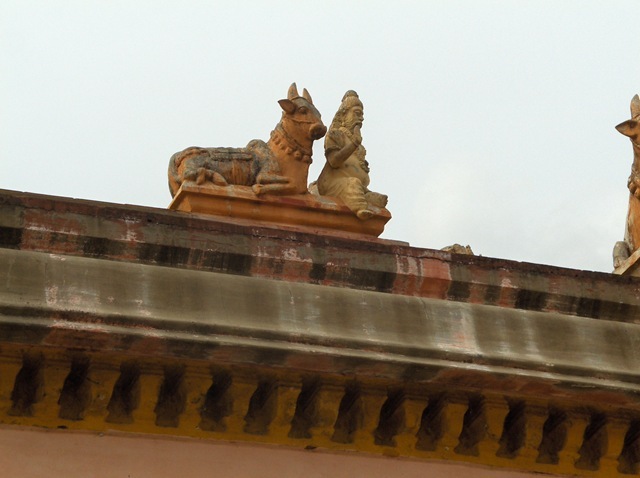 The gods outside the temple are decorated too. None can be left out. 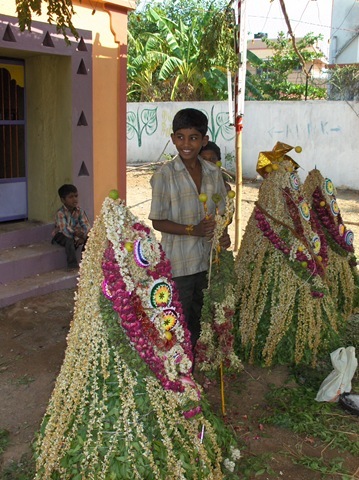 Notice that it is Rajan’s aunt who has the ceremonial role of this decoration. The priest did it inside the temple, the auntie, outside. Now these gods are decorated. I think this is a Snake God, a Naga. 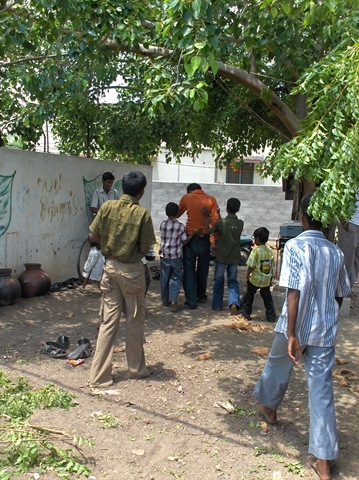 The priest starts breaking coconuts. The broken coconuts are offered to the gods. 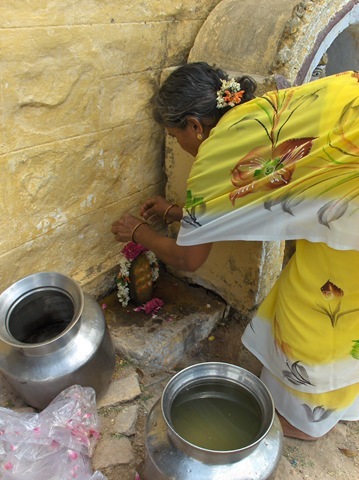 The coconut milk is saved for other ritual use. And the final offerings are made to the gods. The goat is then prepared for sacrifice. This took quite some time. 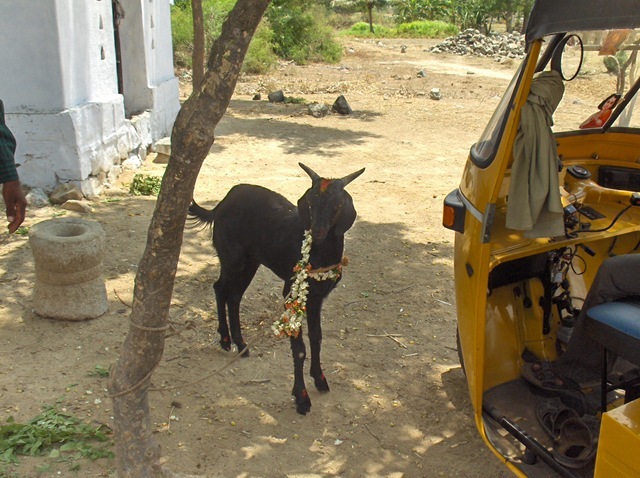 Rajan told us that they were getting permission from the goat for what was to come. My wife was not sure that the goat spoke the same language. During this part there was much discussion from the older men in the group. We think they were discussing just what was to happen. 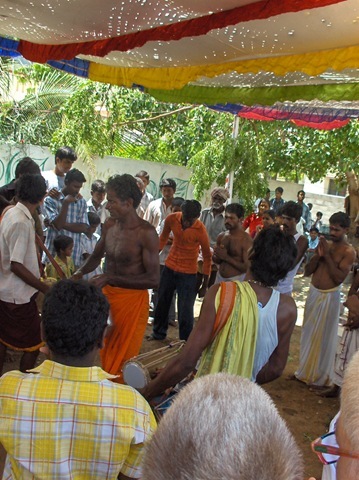 We have seen this group discussion and decision making in other village activities. 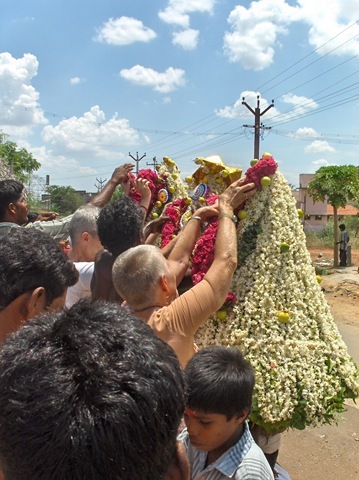 After the sacrifice, during which my wife and I (as well, it turned out, as Rajan) turned our eyes away, the priest came out and blessed each person by putting vibhuti and kum kum on each person’s forehead. 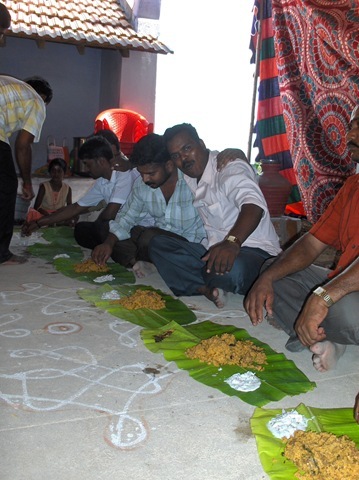 Then prasad was given to each person. 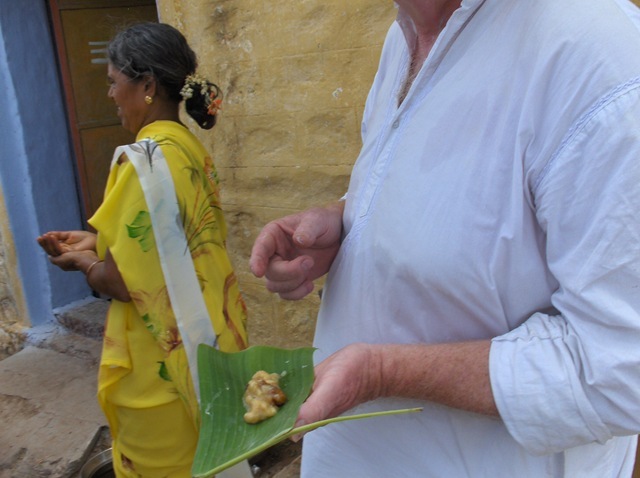 Since we were westerners, they served it to us on banana leaves. Others just got it in their bare hands. Now it’s back to the house and the cooking. 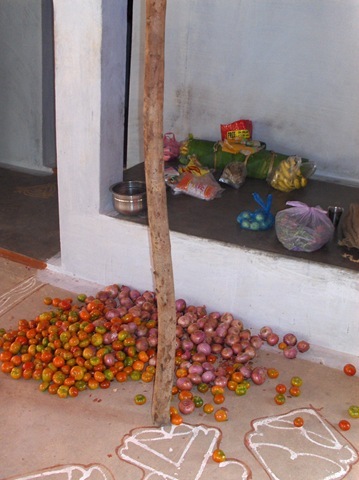 Onions and tomatoes and green chilies are made ready in great profusion. While the women worked, the men naturally did important man stuff. 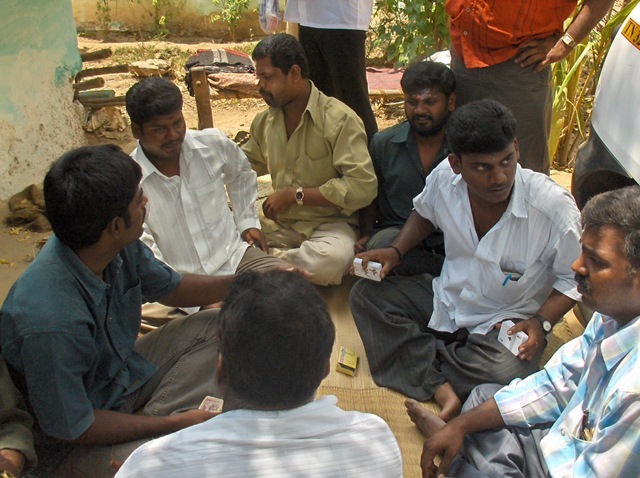 Here they are gambling, playing a form of rummy. Each put Rs 500 into a common pot, to be split among the winners. The other bit of important man stuff is drinking. 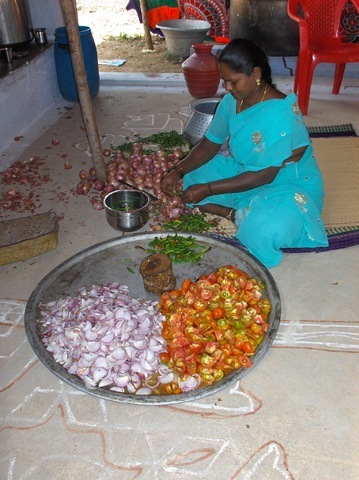 Meanwhile the women are still working on preparation for the meal. Some of the girls help too. 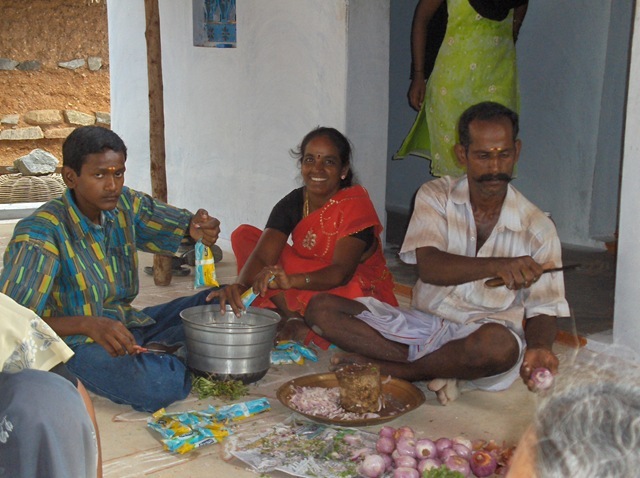 Many people are involved in the meal preparation, men and women, other villagers. These meals are really community efforts. 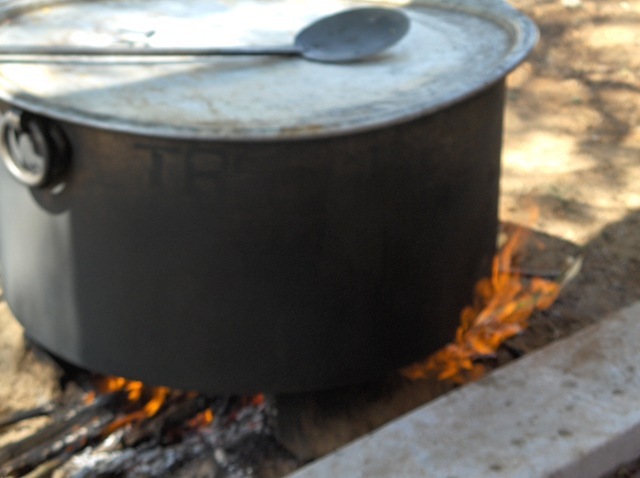 Now the fire is started under the pot. 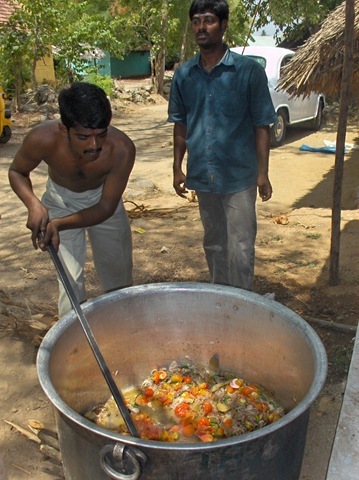 First, bags of peanut oil are poured in the huge cooking vessel, then the garlic, onions and green chilies. They are cooked for a while. Notice that it is a man with the ladle. This is the only time, except at restaurants and food stalls, that we see a man cooking. Herbs are added for flavoring. I think this is curry leaf. 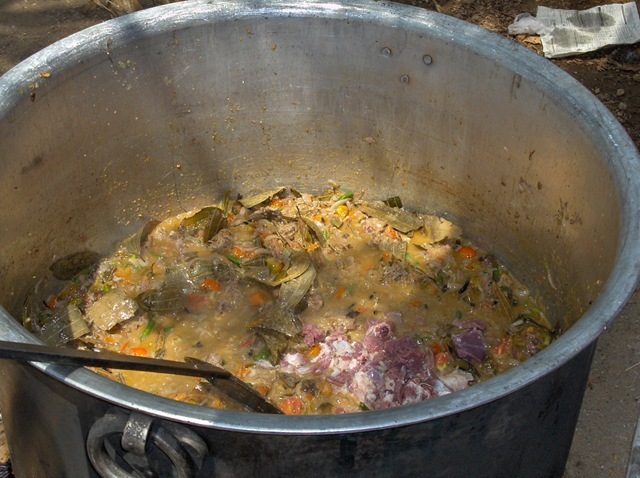 Then the ‘mutton’ is added and cooked. While this is going on the men are still doing their important work. I am trying to figure out the rules so maybe I can play too. 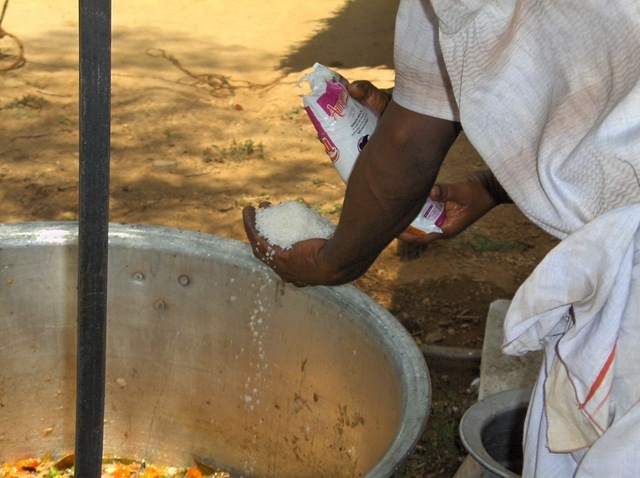 While the biryani cooks, they prepare the ‘curd’ dish – yogurt and onions, and what else I don’t know. Hey, some of the men are actually helping with this! Some of the younger woman sit and watch and talk. 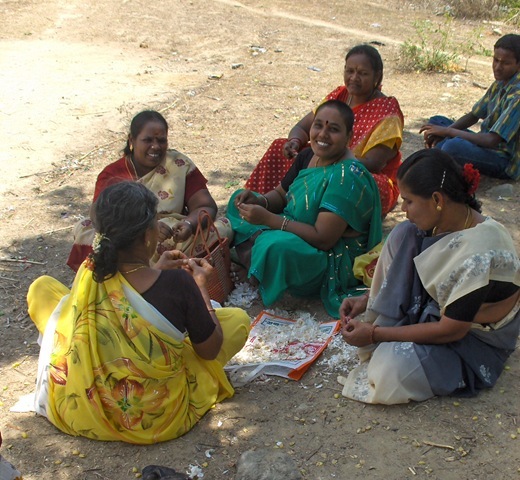 You can see that these are school-age women, since they wear salwar (or punjabi) suits instead of sarees, which is what “real women” wear here. Now my wife Carol does not feel properly dressed if she is not wearing one of her sarees. Now the final step, adding a bit of rice (and water). Then the pot is covered while the rice cooks. 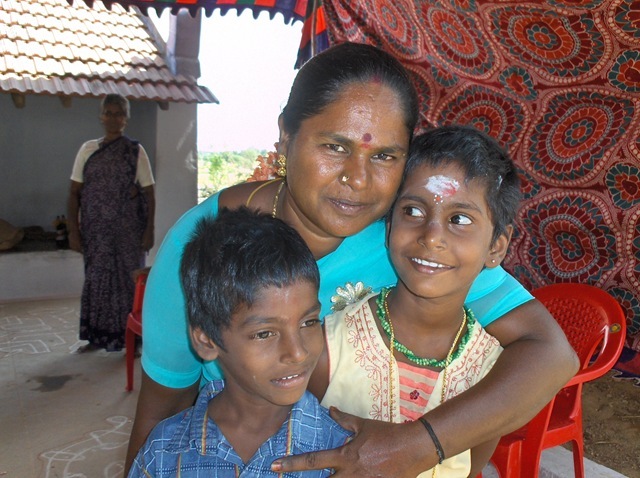 Here is a picture of the ‘hostess’, Rajan’s uncle’s wife, with Rajan’s son and daughter, Raam and Janini. 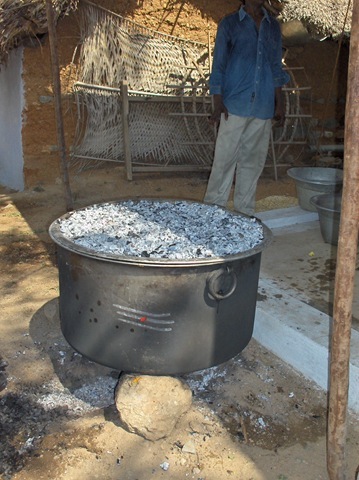 After the rice cooks for a while, a layer of coals is added to the top of the pot. Maybe to cook the top layer, or maybe to make a crust on the top, I am not sure. 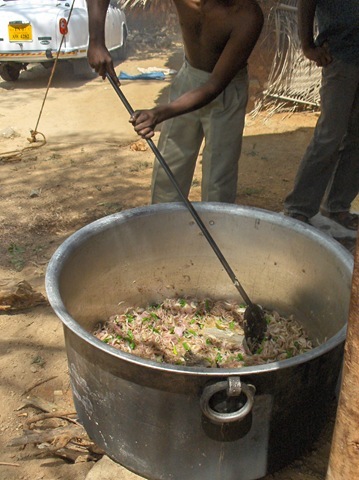 Now the ‘mutton biryani’ is ready! 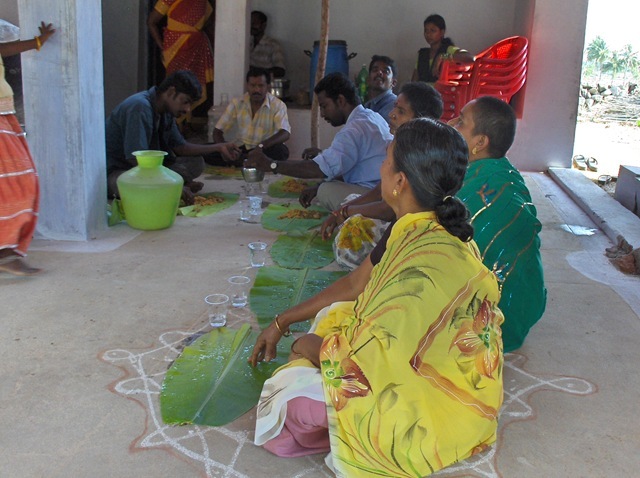 Banana leaf plates are set out. This included even the women guests eating at the same ‘sitting.’ Before, when we’ve been at other social functions where there was a meal, the men eat first, then the women. When eating is done in ‘men first’ order, they let Carol eat with me, since we are Westerners, and apparently the rules are different for us. Then finally the family members get to eat. This day was not what we expected. In many ways. But to be involved with such village activities is, we think, a special privilege, and is not something shared by many Westerners. We felt honored to be invited, and to be able to take these pictures to share with you. Then we were driven the 60 km. home, to rest and to reflect upon the day. Just another day in India. We know many people here that might object to a celebratory meal that includes meat eating and alcohol. 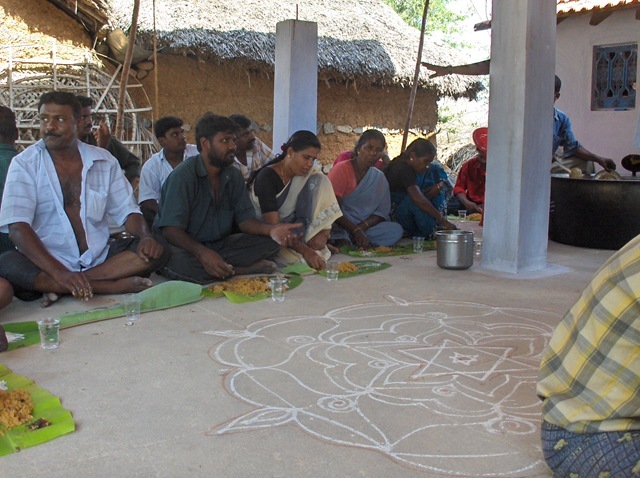 Tamil Nadu has been very much vegetarian and against alcohol for the last 1000 years (at least for the higher castes). We have found that this is largely a caste issue, with the higher castes like the Brahmins often following pretty strict rules on diet, etc. I suspect that this never was the case in the villages (which are mainly lower caste people), and it certainly is not now. 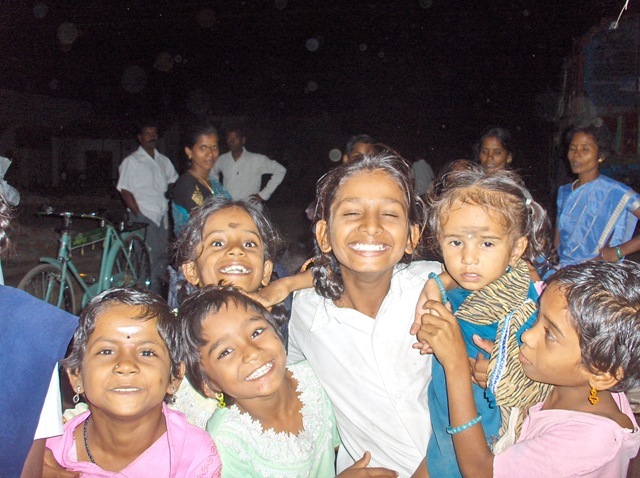 Even though, with the rise of India as a nation, caste discrimination was made against the law, such a change does not really affect the behavior of people in a culture with thousands of years of history, tradition, and social order. I think even some of our friends might be offended that we participated in such activities. But, if this were some family function with our family at our home in California, we probably would serve BBQ meat and cold beer. And everyone would enjoy it. 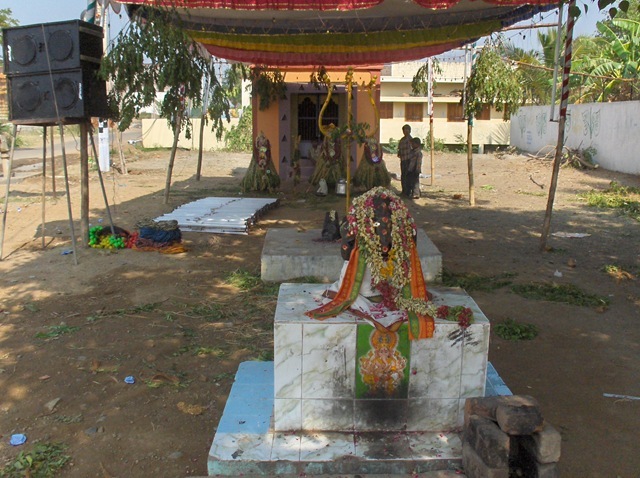 The Guru Vachaka Kovai, the Garland of Guru’s sayings, is a comprehensive collection of the Maharshi’s Sayings , composed and strung together by the great Tamil Poet Muruganar.This translation is by Professor K. Swaminathan. Like very many sadhak’s I found it difficult to be convinced that the world we perceive is ‘unreal’. I realized that the concepts of space, time, and causality are inherent in the organ of cognition and create the screen of consciousness on which the world stage, actions and pictures are projected. Also that quantum physics has confirmed that what we see, feel, smell , touch and taste is not what it appears to be, but subtle energies in constant movement. But, It was not until I read the Advaita Bhoda Deepika, The Lamp of Non-Dual Knowledge, a short work, highly spoken of by Bhagavan that I followed the complete logic of this point of view. I summarize my findings as follows, largely based and inspired by Chapter 1 of this marvelous treatise, entitled On Superimposition. 1.All is Absolute, pure, infinite Consciousness, non-dual, Supreme Intelligence, the Self-Existent Self or Brahman. 3.These powers manifest an apparent, but unreal Universe. Unreal because it was NOT before manifestation and will NOT BE after dissolution. Therefore it is likened to a dream in the Supreme Intelligence or Mind of Brahman. Thus the apparent Universe is but an appearance based on Brahman. It does not exist apart from Brahman. It could be termed, therefore, a confusion between the Real and the Unreal, or neither Real nor Unreal, or both Real and Unreal. In the Vedanta, the term Real is applied to the Immutable or Unchanging. The apparent world is constantly changing, in a state of flux, becoming and decaying, so it cannot be termed Real in this sense, whereas Brahman is immutable, unchanging and eternal. 4.The ignorant ‘jiva’ (the ajnani) or individual soul is reborn and dies continuously through many lifetimes, until Self Realization. It carries forward from each life the seeds of many latent tendencies from previous lives, although its True Nature is also the Absolute Pure Consciousness of Atman-Brahman. But because of the implicit Maya, projection and veiling, inherent in the Self of Pure Consciousness or Brahman, it identifies with its insentient body and creates a Universe from its latent tendencies (vasanas) through the mind, (organ of cognition, the brain and sensorial adjuncts). The mind is a wondrous power in the Self. The world it sees, composed of latent tendencies, and thoughts is therefore of the nature of a dream, even an hallucination, and may be termed ‘unreal’. 8. At the same time one lives one life as if it was real, knowing it to be unreal, and accepting all that happens as ultimately for the best. 9. When there is an awakening from the dream of life, the transmigration of the jiva is over. The immortal Self of infinite Consciousness is Realized directly and one lives from that state of ‘sahaja’ until the mind-body falls off in death, and one is absorbed into Brahman or Infinite Consciousness, no longer a separate individual identified with its body-mind. All is the Self, and the world is seen to be Real because its substratum is now known to be Brahman. Re-reading Bhagavan's Eight Stanzas to Arunachala, a marvelous poem, I came across this verse which sums up my Essay. I add it as an addition, as it seems to sum the whole question up, very succinctly. 6. Thou art Thyself, the One Being, ever aware as the Self-luminous Heart! In Thee there is a mysterious power (Shakti) which without Thee is nothing. From it proceeds the phantom of the mind emitting its latent subtle dark mists, which illumined by Thy light (of consciousness) reflected on them, appear within as thoughts whirling in the vortices of parabdha, later developing into the psychic worlds and projected outwardly as the material world transformed into concrete objects which are magnified by the outgoing senses and move about like pictures in a cinema show. Visible or invisible, oh hill of grace, without Thee they are nothing! 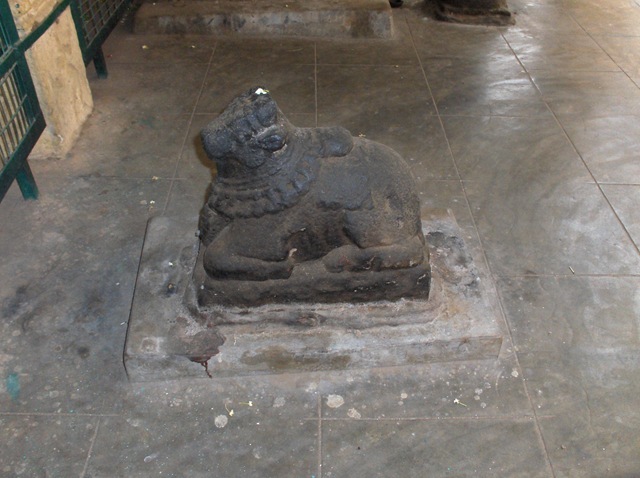 Adi Annamalai clearly predates Arunachaleswarar Temple, so is older than 2000 years. 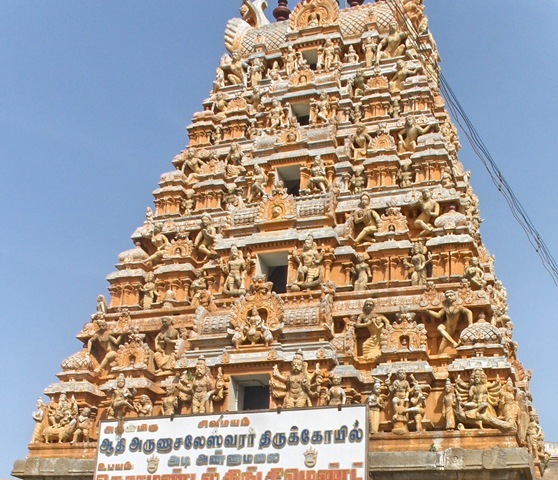 I suspect the gopuram is also about 1200 years old, from the same period as Arunachaleswarar Temple. 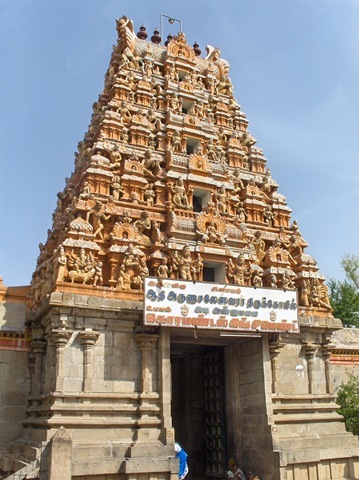 “The name of this Temple, Adi Annamalai means ‘first’ or ‘ancient’ Annamalai (Arunachaleshwarar). 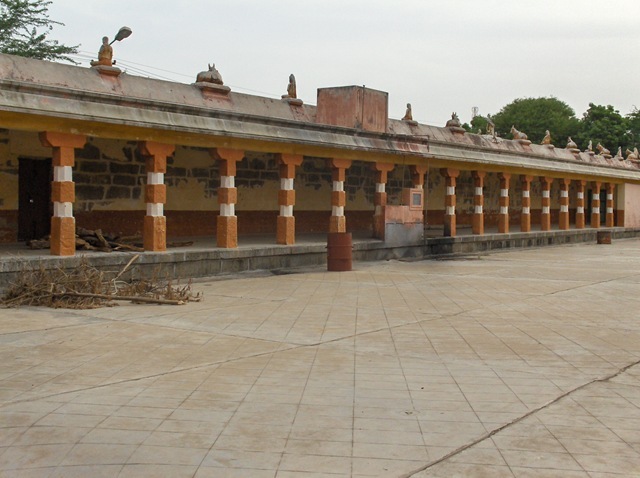 Its size is small and it occupies only 1/2 acre in size – compared with the 25-26 acre size of Arunachaleswarar Temple on the Tiruvannamalai side of the Hill. 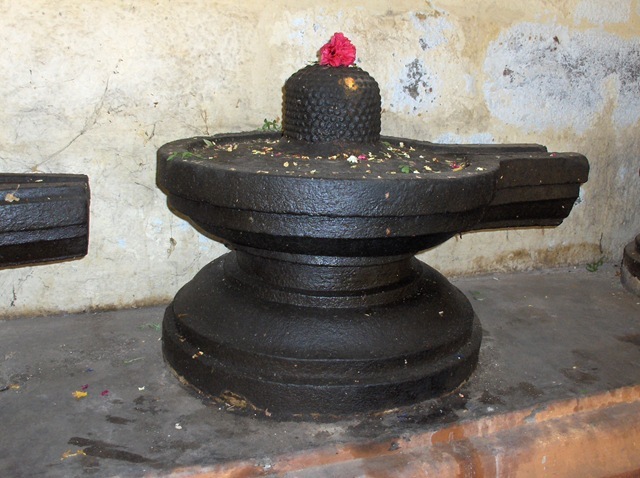 The legend of Adi Annamalai recounts that Brahma, after His dispute with Vishnu about the fiery column, made a lingam and went to the other side of the Hill to worship Shiva. 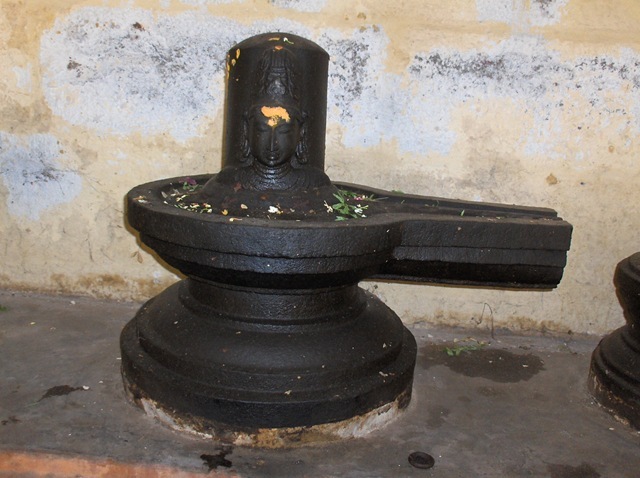 Thus, this lingam is supposed to be the first, ancient and original lingam of Annamalai and hence the name Adi Annamalai.” This quote is from Arunachala Grace Blog. 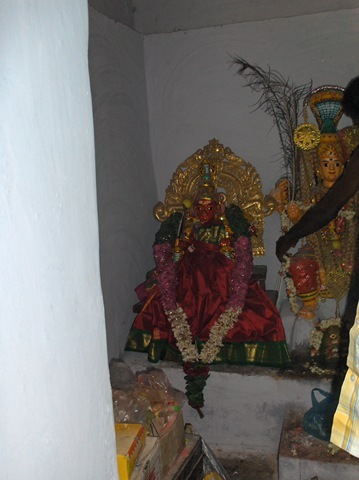 Here is a good article from them on Adi Annamalai. 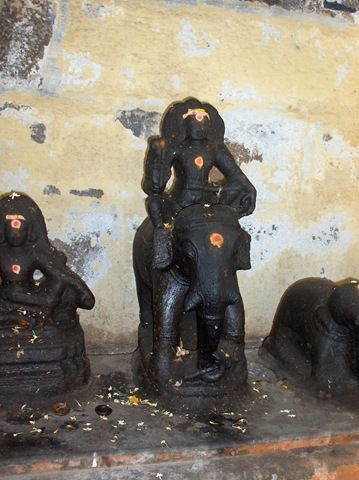 There are many legends about this temple. 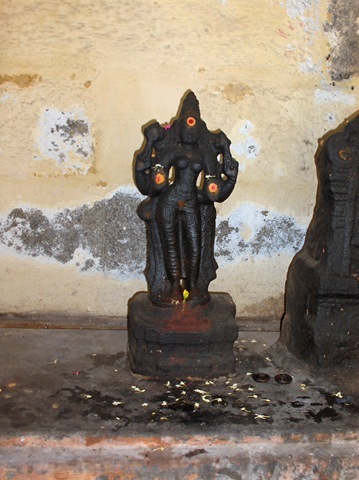 The one I like the best is of a secret cave that goes from the temple to inside Arunachala, where all the Siddhis are. You can see the temple in Google maps, click here. 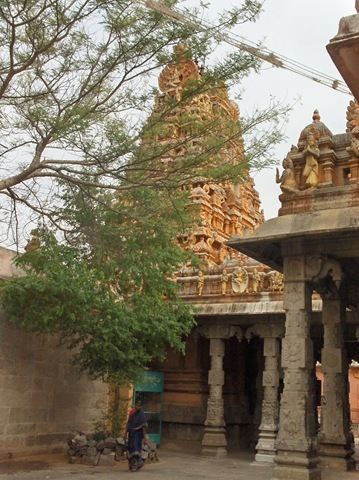 Turning off the Hill Round Road, going through the small village of Adi Annamalai, you come to the temple, with its tower visible from far away. 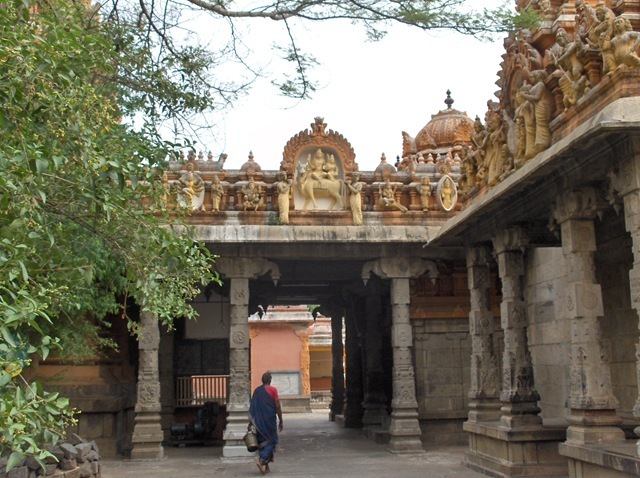 And enter through the gopuram. We are not allowed to take photos inside the main shrine. 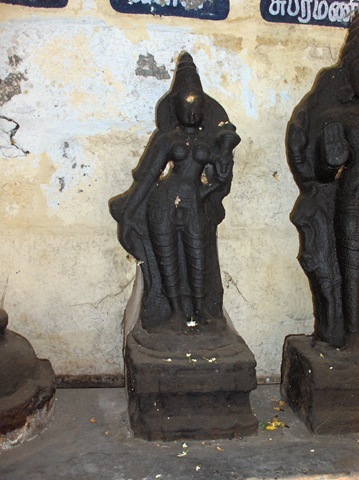 The photos below were taken walking around within the temple walls. 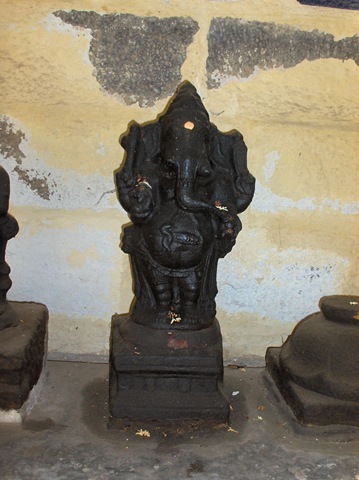 First is Ganesh, the remover of obstacles. 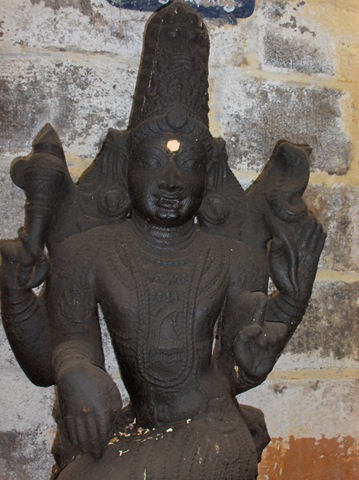 This is the first god seen in the Siva temples. 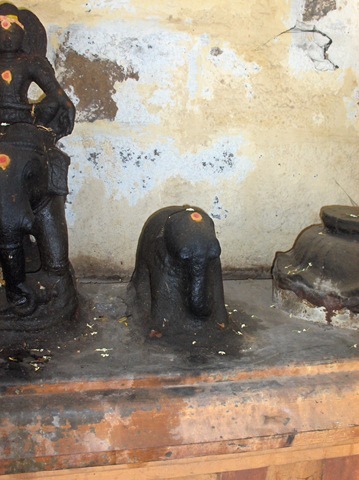 Here Ganesh is enclosed in a small shrine that is locked when the priest is not there. 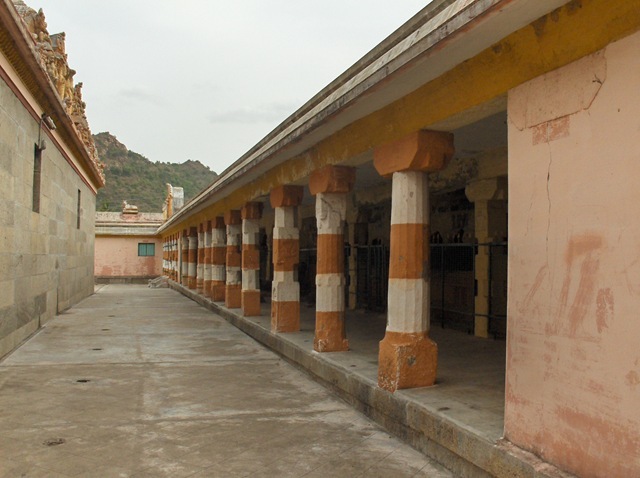 Walking in the usual clockwise direction, here is a hall of pillars. Note all the statues on top of the wall. 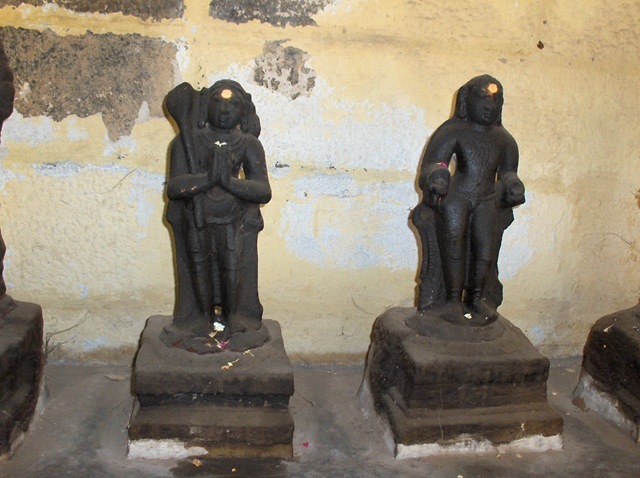 Similar statues are on all four sides of the temple. 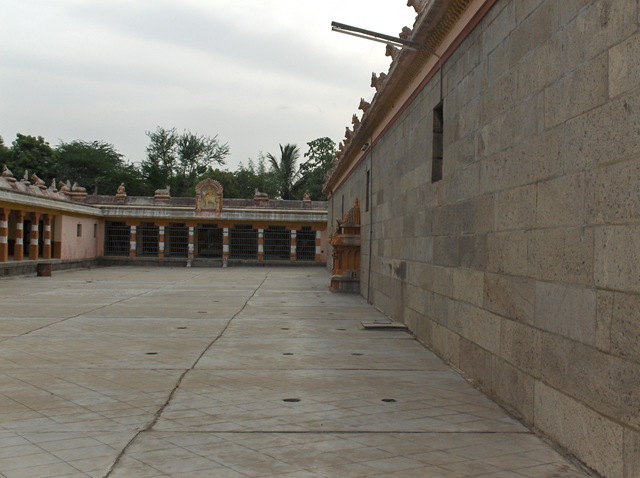 Looking to the back of the temple, we can see the Dakshinamurthy shrine protruding from the wall. 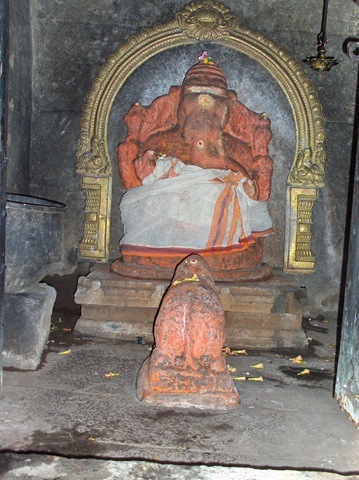 Dakshinamurthy has a special place in our hearts. 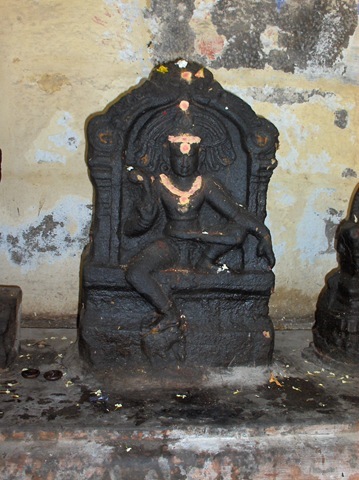 Dakshinamurthy is said to be the primordial Guru. He is pictured as a young man, with four older disciples sitting with him. 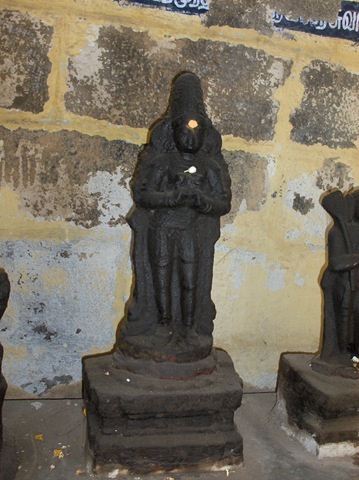 Dakshinamurthy taught only in silence. 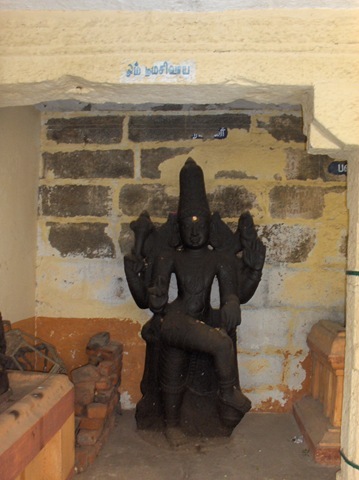 Sri Ramana Maharshi is spoken of comparing him to Dakshinamurthy. 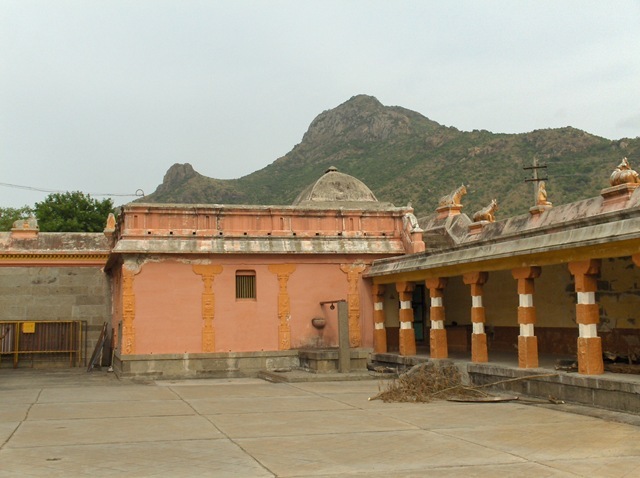 It is also said that Arunachala is Dakshinamurthy. Certainly both teach in silence. Ramana says that real silence is when no ego-‘I’ arises. Behind the shrine, behind the pillars on the back wall of the temple, there are quite a number of statues, I think of various local gods, and gods of local significance. You can see, looking at the wear on some of these, just how ancient they must be, hundreds of years, certainly, thousands of years, probably. Most of them I do not recognize. 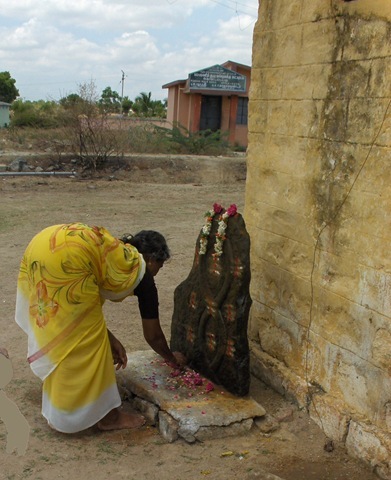 They have names, written in an archaic Tamil, above each statue. As I find out these names, I will add them to this post. Some are small, just a few inches tall. Others are several feel high. 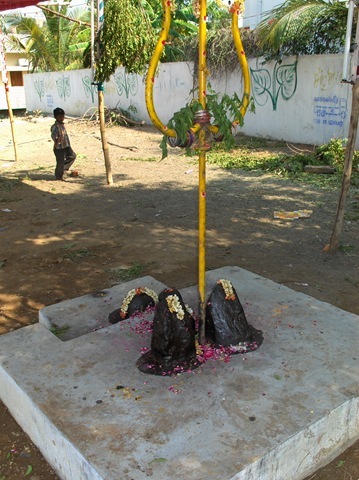 Here is one of three Nandis, guarding several ancient lingams behind the fence. 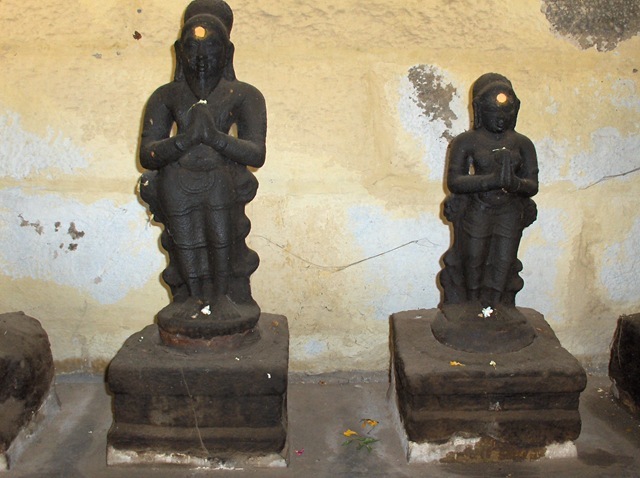 Here are the first two lingams. Here is the third. Note the additional carving on the upper part. Someone thought this was special. It is the only one that has a flower placed on top of it. Here is the fourth. 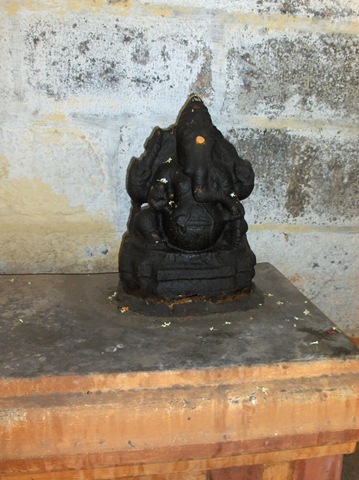 Notice that it has a face, surely Siva’s face, carved into it. I love this one. Is that Siva on the elephant? Notice how old this elephant must be. The top of the statue has been rubbed away by countless hands touching it, probably over hundreds of years. Looking back at the hall of statues. 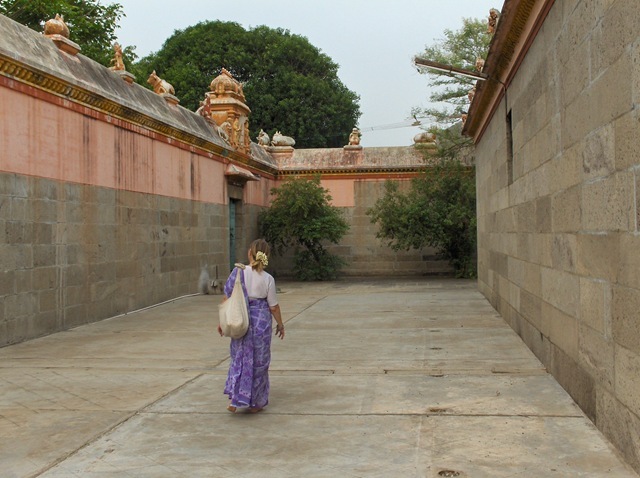 We walk back toward the front of the Temple. 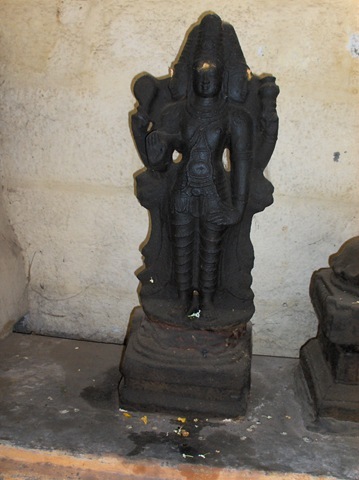 Another statue. 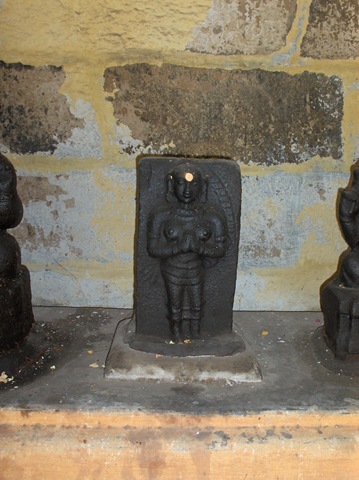 This god has three faces (that I can see). 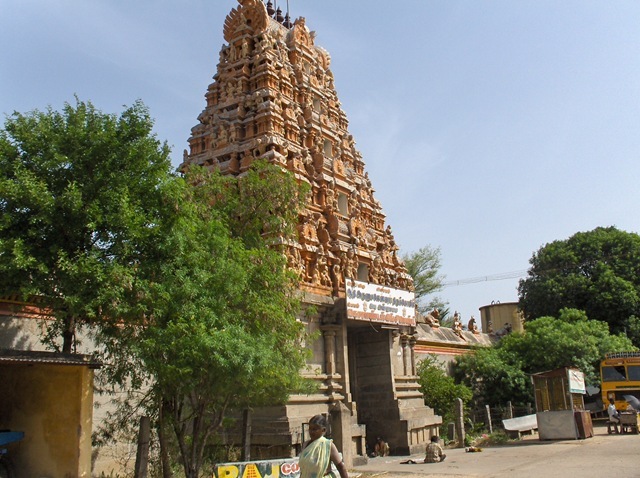 The gopuram, seen from within the temple walls. The main entryway, from the North side. To the right is the inner temple. To the left, back outside. 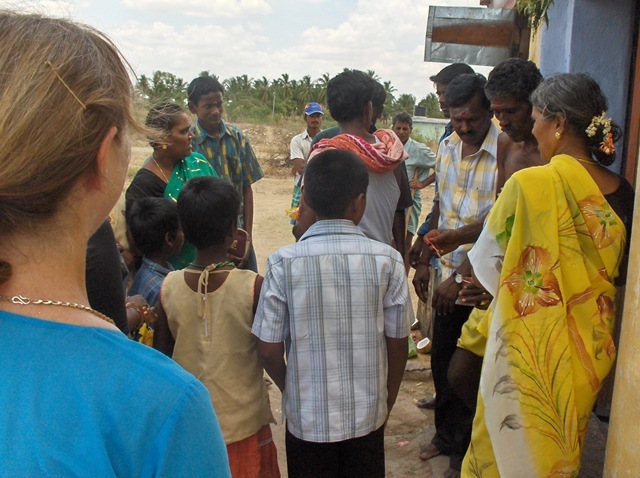 We are working with village leadership in Samuthiram Village. 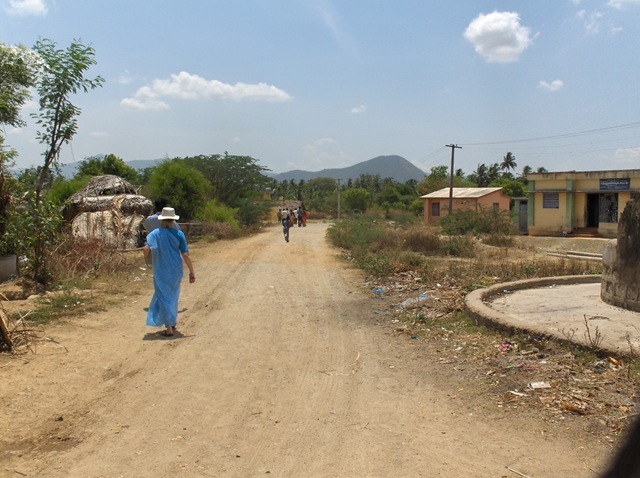 This village is right next to Tiruvannamalai, at the foot of Arunachala Hill, about 2 KM from our house. We go though it almost every day going to and from Tiruvannamalai and Ramanasramam. 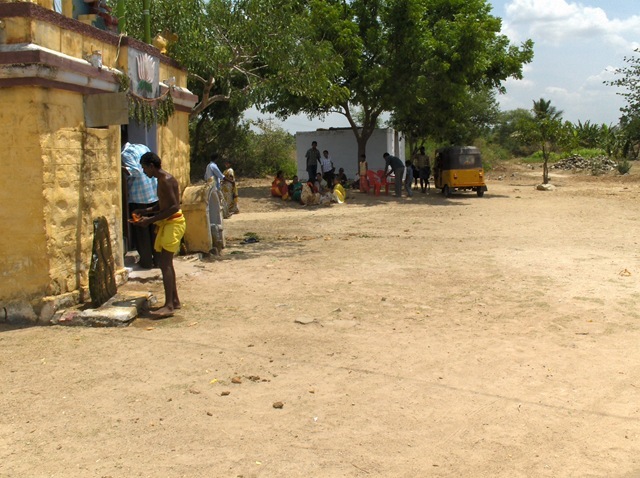 Samuthiram Village has many of the problems from this growing region without receiving much of the benefit from the growing region. These problems include increased crowding, increased disease, urban pollution and greatly increased land and living costs. 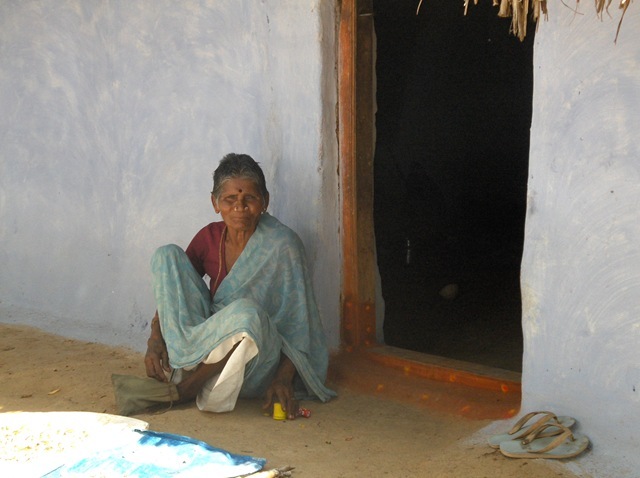 Like most villages in India, there is much poverty with all its related problems. The additional problems from nearby growth just makes the village issues more severe. 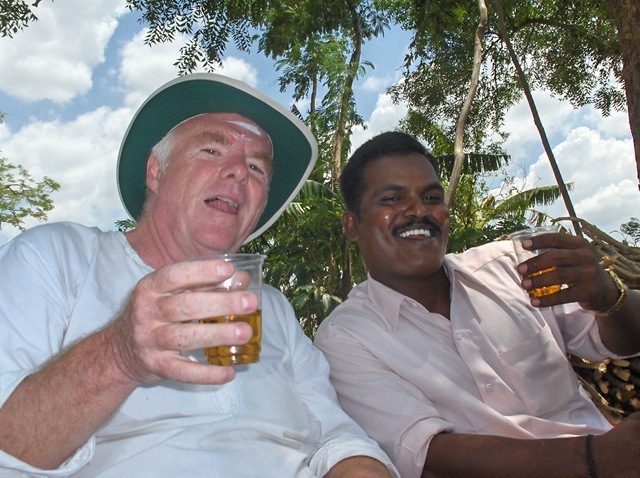 This village is one that gets many westerners as temporary residents during the winter season, when people from around the world are coming to visit Ramanasramam. 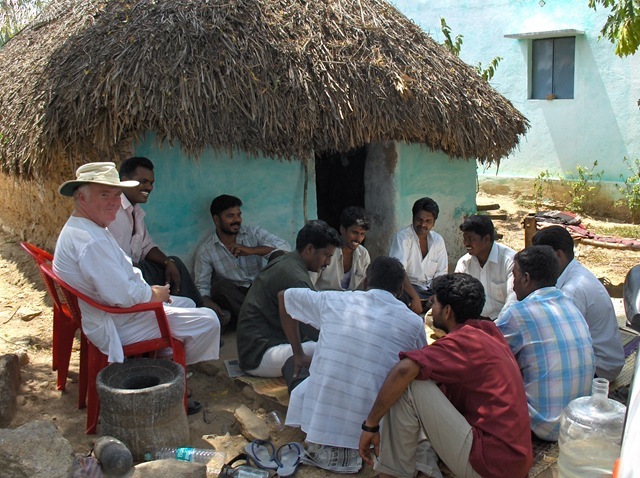 Contact with westerners has helped village leadership see that more is possible for the village. 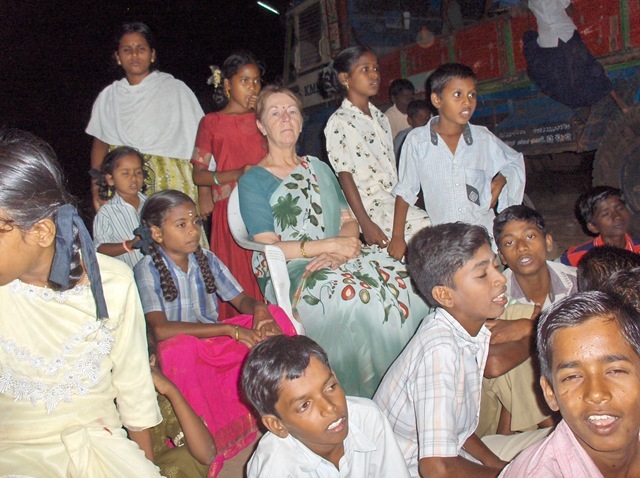 With the help of some of these western visitors, Quality of Life Trust was organized in 2006 as a means of accomplishing this work. 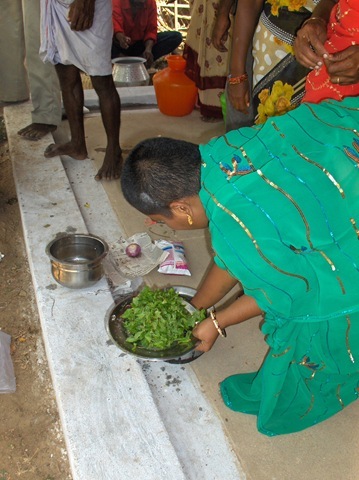 Quality of Life Trust has since put in place a small village elder support project, funded by donations, which provides food and housing to abandoned elders, and an Eco San Toilet (a composting toilet) construction program, funded by BLESS, an NGO in Cuddalore.
. My wife Carol posted about a ceremony that Quality of Life held. This can be seen at http://infinitepie.wordpress.com/2008/05/19/our-vip-night-at-the-quality-of-life-trust/. See also their web site, http://www.qualityoflife.in/. 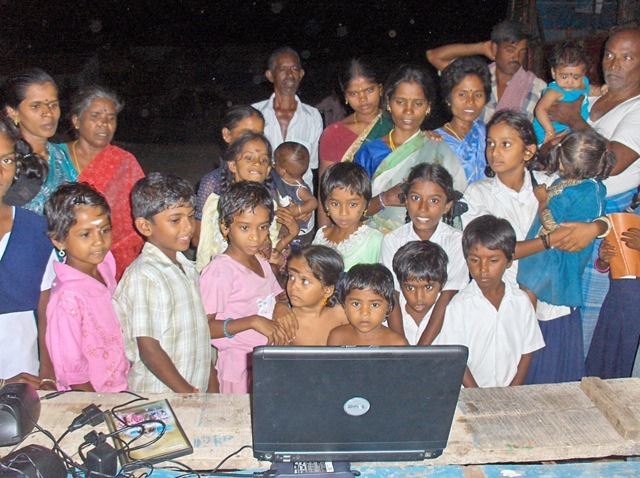 The photos below are from a village meeting, where they gathered around my laptop for a show. It was set up on a table outside. Power was strung from a nearby house so we could power the external speakers. To start, we played a slide show of photos taken at the recent village celebration. First the children, then their mothers and other adults gathered around the computer to see photos of themselves and their family and friends. Then we played a Tamil movie. Finally, we played a video of the celebration (mainly of a meeting with different people talking). Before we came to live in India one thing we did to give us a tiny bit of flavor of India is to watch Indian movies. These photos remind me of one movie we saw where villagers gathered around a sheet, strung up as a movie screen, to watch a movie. One big difference, though, is that while viewing my laptop, no one broke out in song and dance, as they did in the movie. 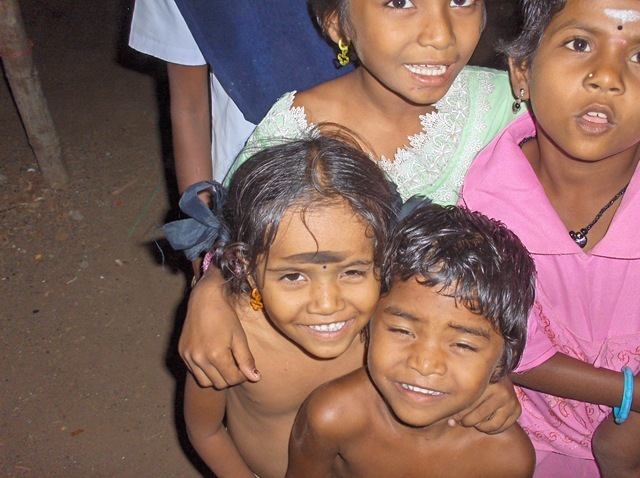 Carol had the camera, and the village children love to have their photos taken. Some of the girls climbed on a nearby truck to get a better view. 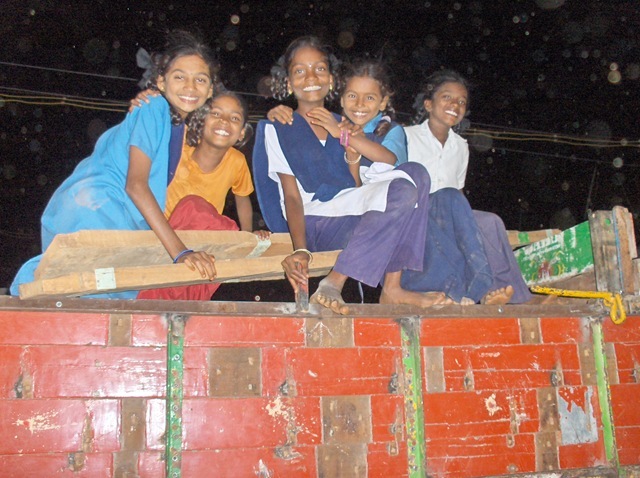 The girls were not at all shy about climbing around on the truck, even while parents were trying to get them to stop. 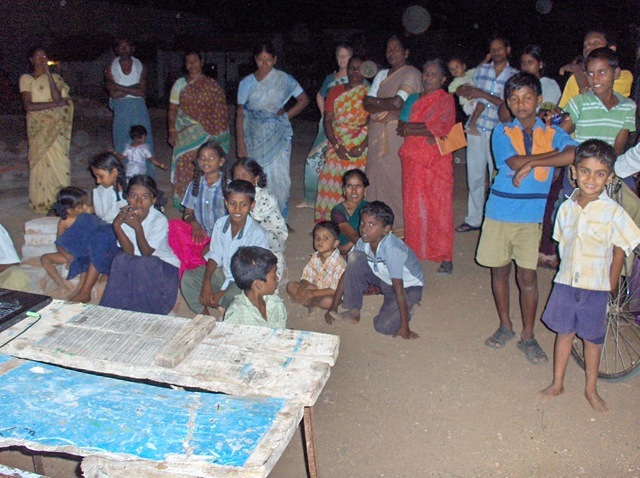 Here the children are seated in front, with mainly village women standing behind. The children naturally, once the movie was over, got bored and entertained themselves. There is construction going on nearby. (This is the case over much of this area, where many people are busy adding rooms that they will be able to rent to westerners during the next winter ‘season.’) So the children started carrying bricks over to where we were and finding different ways to play with them. 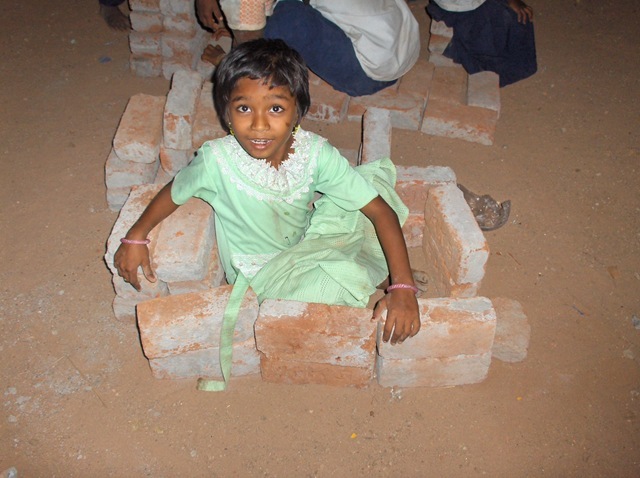 After a while, one girl changed the game from ‘chairs’ to ‘houses.’ After this, they all started to build houses. The performance was over. We all went home and went to bed. Now I hear that the villagers want to do it again. Only this time, just a movie, not a boring video of a bunch of adults talking. I sure wish these Tamil movies had English subtitles.